WW2 Japanese and German War Planes: This is for 4 books. Two are in Japanese text and two are in English text. 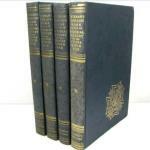 They were published by AIREVIEW in 1956-1959. 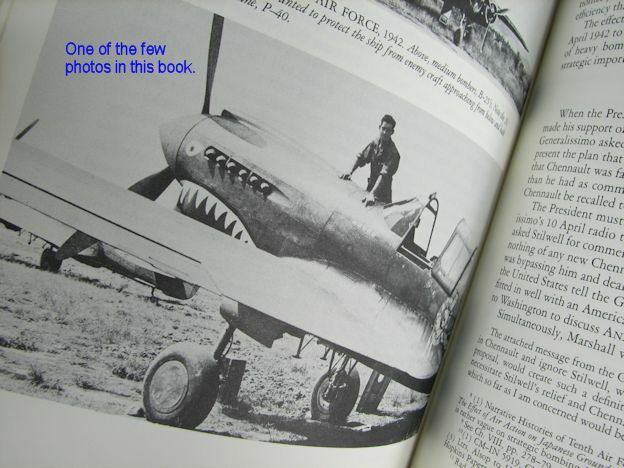 The titles are: "Aireview's German Military Aircraft in the Second World War". 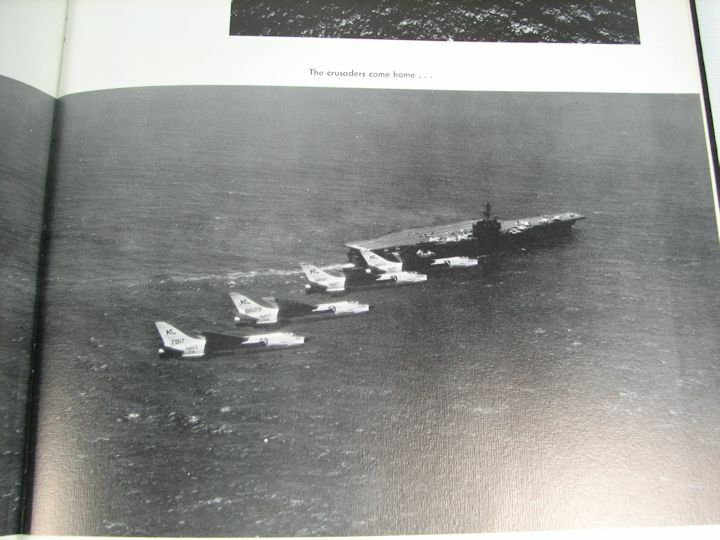 and "General View of Japanese Military Aircraft in the Pacific War." 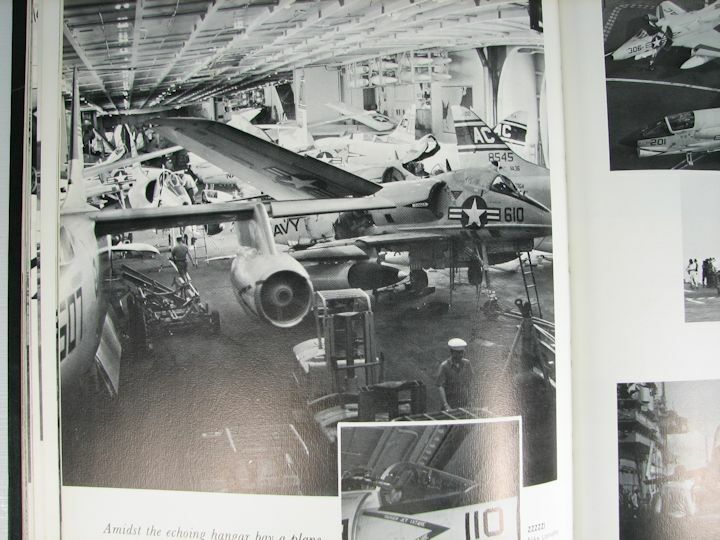 There is a copy of both titles in the original Japanese text and those books have a lot of photos of the Japanese and German aircraft. 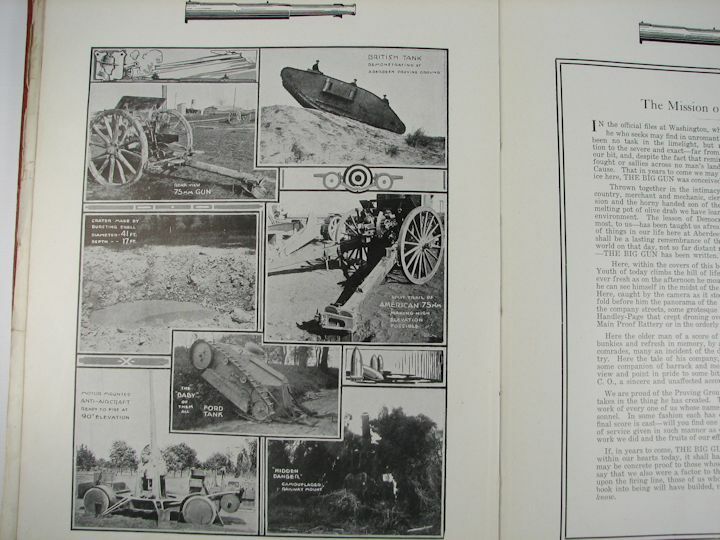 Then there is an English text version of both books without the photos. Conditions are solid and they look good. They have been read and used but not damaged. There are no dust jackets with them. 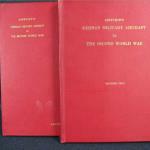 Volume II was copyright 1944 and covers the third and fourth year of the War. 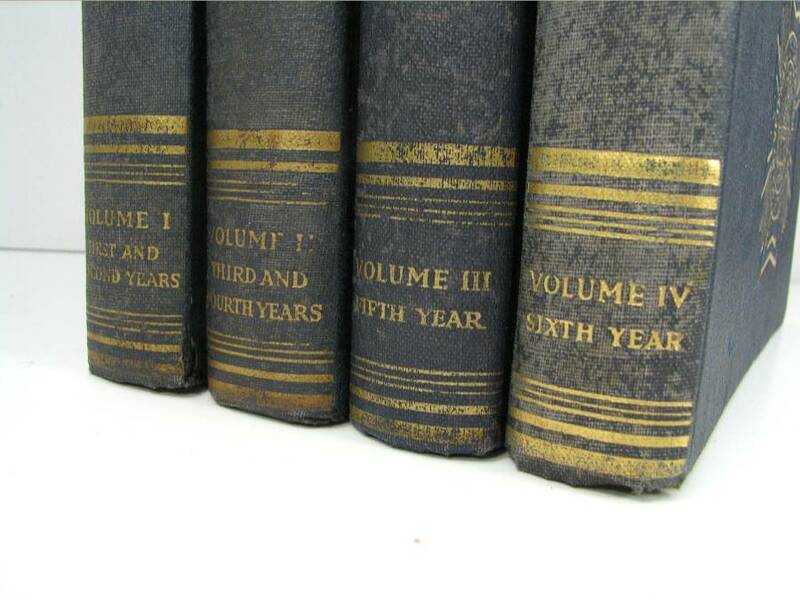 Volume III, copyright 1944, 1946 and covers the fifth year. 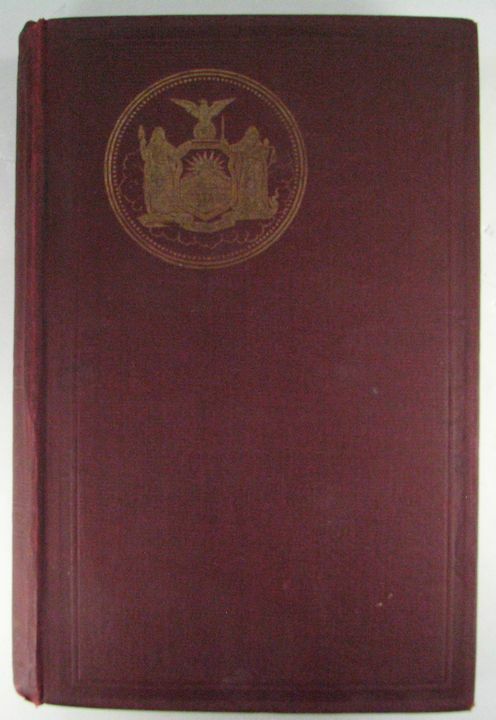 Volume IV, copyright 1946 and covers the sixth year. 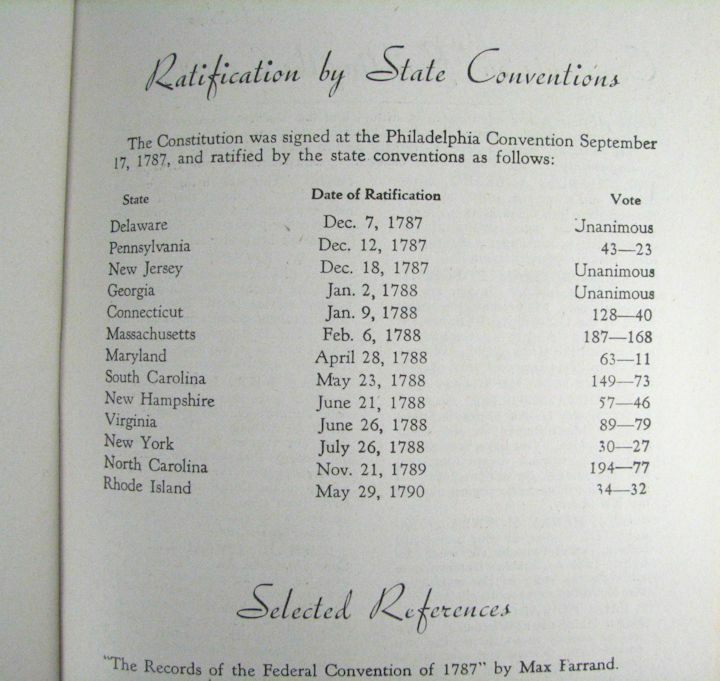 Condition is solid and readable (LOADED with photos). There is fading and some soiling/staining of the covers. I have not tried to clean them and they are as found. They have the usual musty book odor. LOTS of photos! 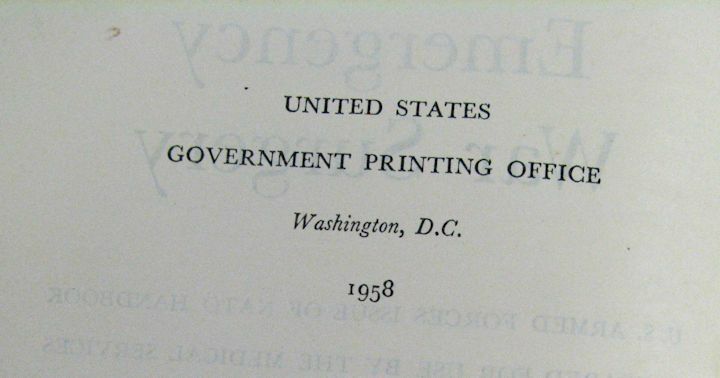 Printed in 1950. 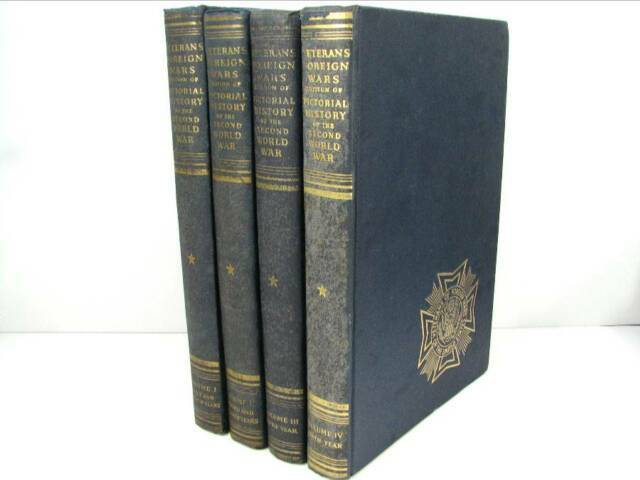 Four volumes: Volume I was copyright 1941 and covers the first and second year of the War. 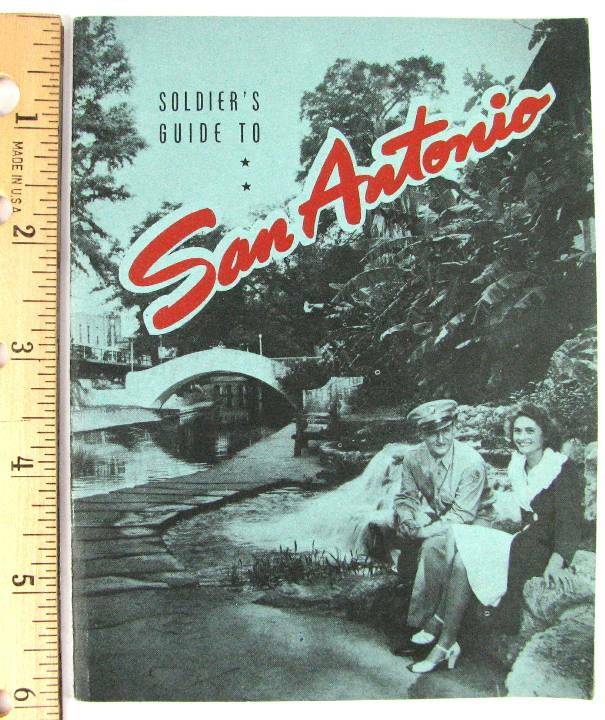 Soldier's Guide to San Antonio: A 4 1/2" X 6" booklet for the men stationed in San Antonio. Gives them lots of useful information. 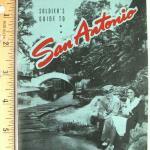 Published 11-44 by Southwestern Bell Telephone. 14 numbered pages. Unused and in excellent condition. WW2 17th Inf. 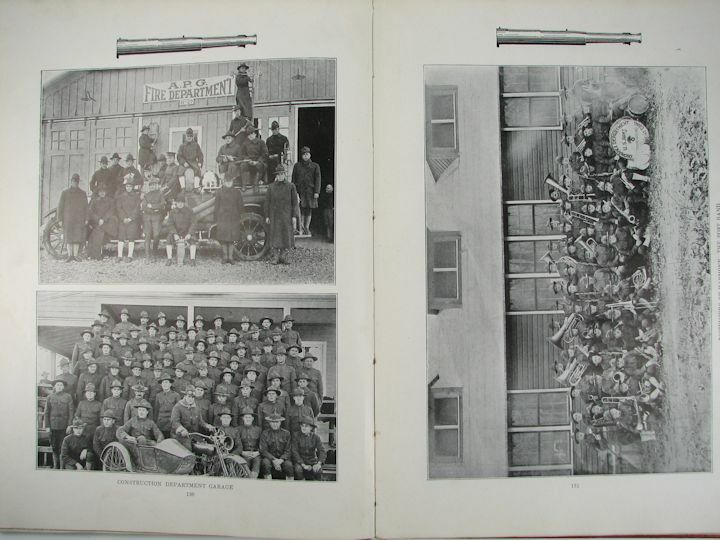 Magazine, Camp Roberts: 17th Infantry Regiment Training Command, Fort Ord, California. Size is 11" X 15" and has 13 pages which would total 26 pages if numbered. They all have photos, plus the covers. Text reveals WW2 period. Full of signatures on the front cover. Condition is solid and showing it's age. No major damage or tears. 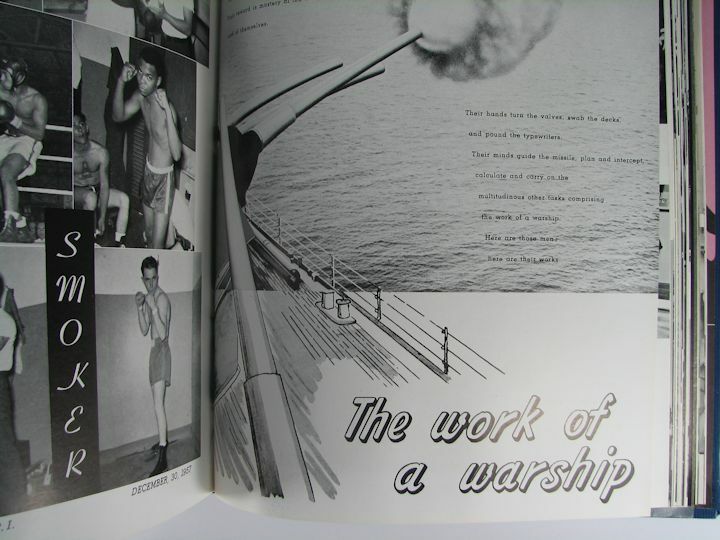 1942 dated SONG AND SERVICE Book with Photo: Title of the book is "Song and Service Book for Ship and Field, Army and Navy". Good condition but does has some light mildew (I didn't clean it) on the cover and has a musty odor. 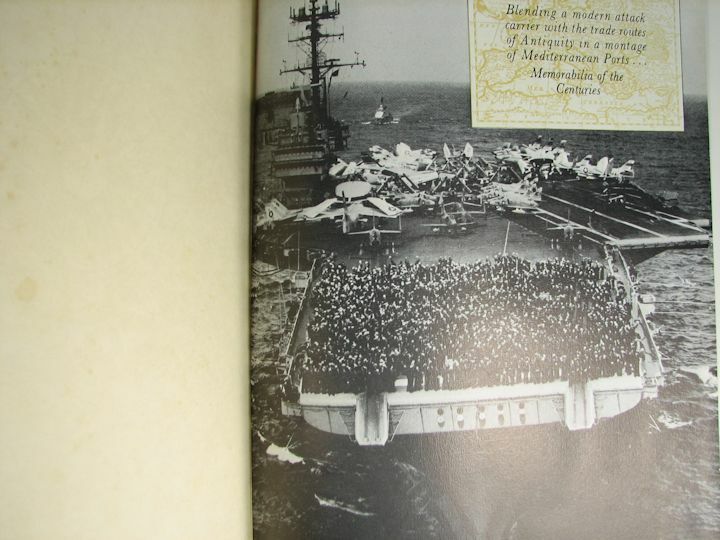 In the back are Funeral Procedures for Army and Navy. 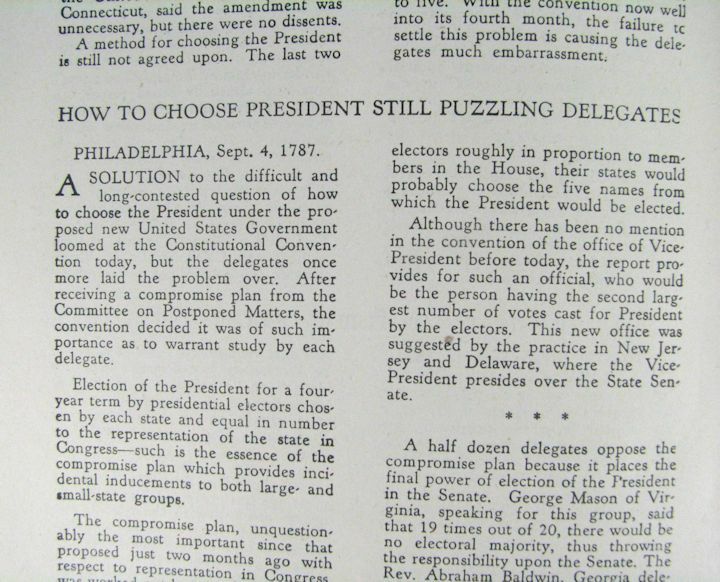 192 numbered pages. 4 .750" X 6 .750". There is a photo with it. 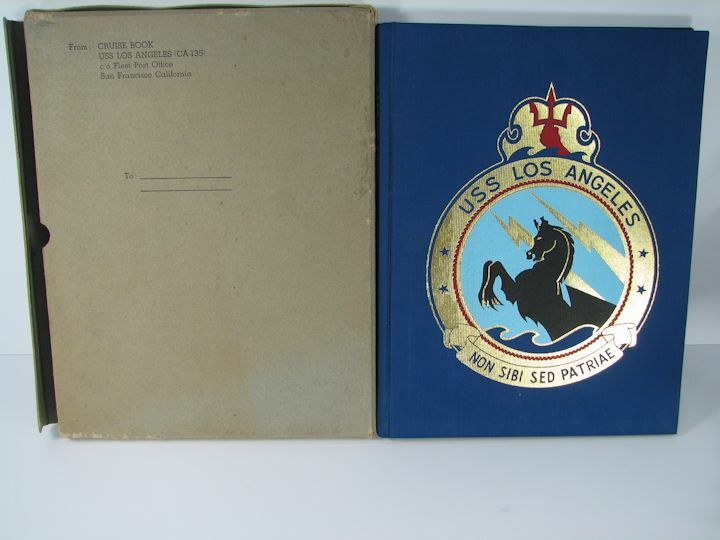 113th Seabees, The Story of: This book is 9" X 12" and has 135 numbered pages. 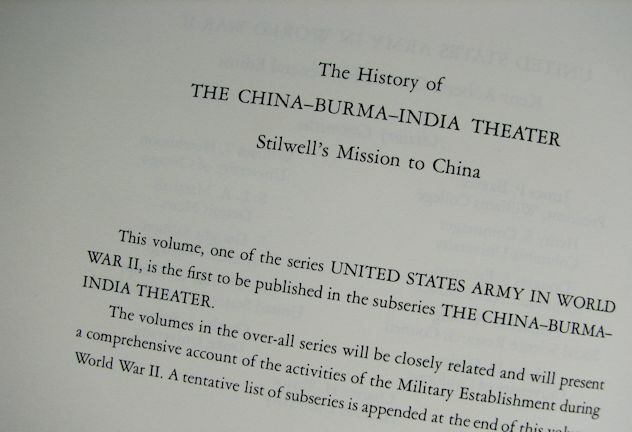 The contents list the KIA, MIA, Died in Service and Wounded in Action. 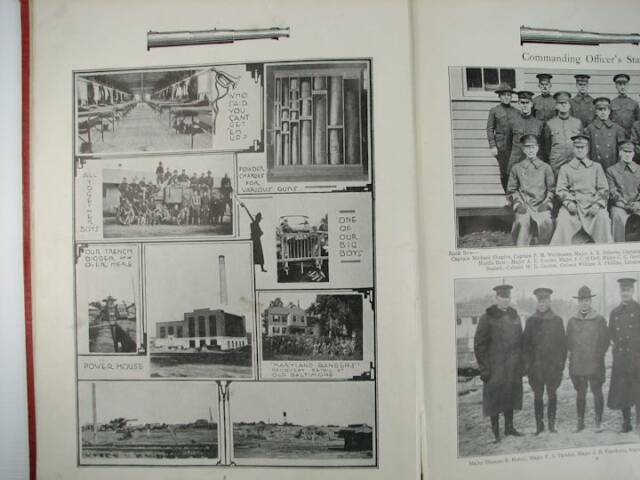 Also photos of each department and the men. Complete roster of men and where they were from. Also lots of photos of construction projects. One major corner bump shown in photos with the rest minor of nature. I saw no torn pages. This is not a reprint but is an original first edition from 1947. I only found one original for sale online and it was $125.00. 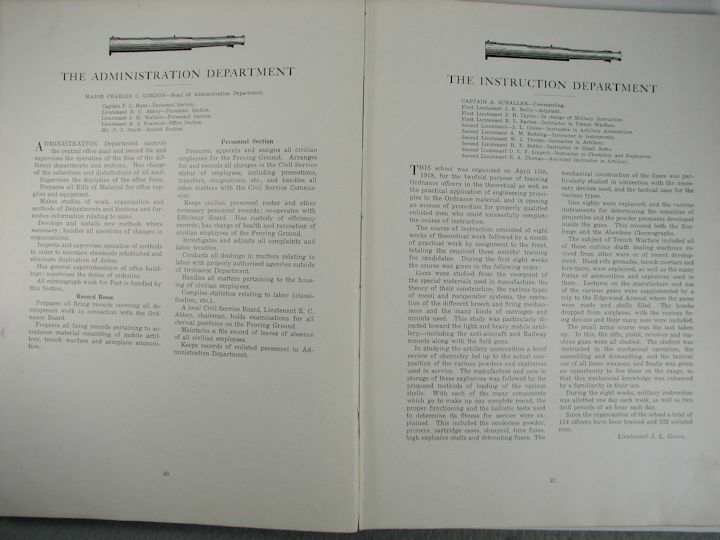 1943 INFANTRY DRILL REGULATIONS: Also has rifle marksmanship for 03, Garand and Carbine. 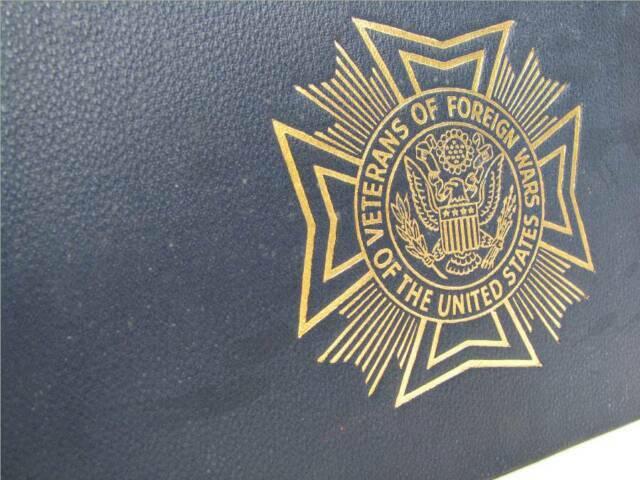 It is identified to William Anderson who is in the NARA enlistment records so he should be researchable. He was Army Air Corps, Sgt. Very good condition. (See photos for more information). 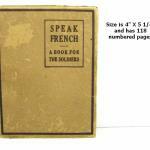 WW1 "SPEAK FRENCH, A BOOK FOR THE SOLDIERS": Dated 1917. 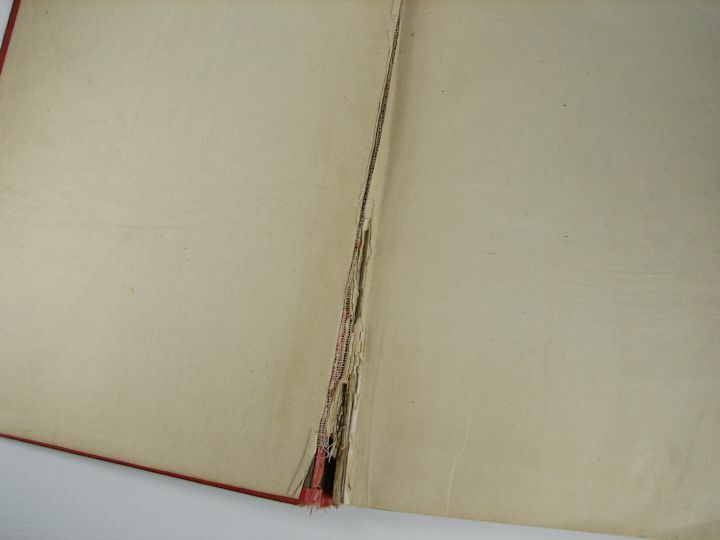 It is in rough condition with the cover separated from the body and a lot of pages have heavy dog ear bending. It looks like it was there. See photos for more information. 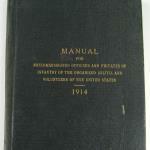 1914 MANUAL for NCO's; INFANTRY, MILITIA and VOLUNTEERS: Very well used book. 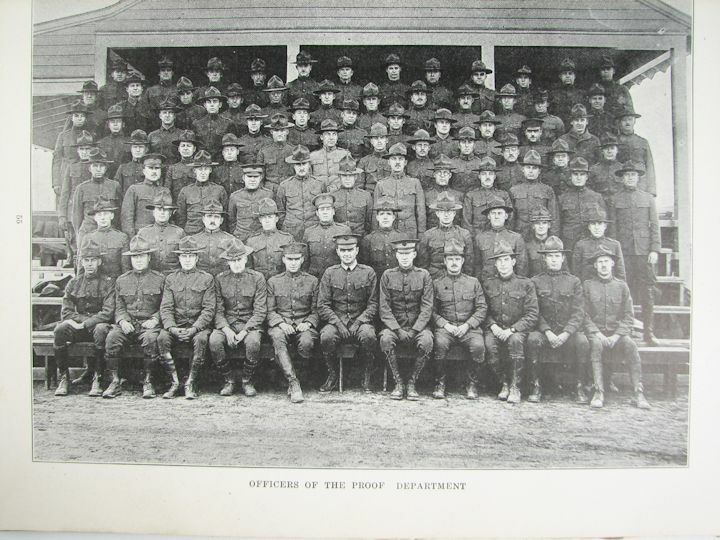 Id'd in the front to Walter Edward Hanson and notes about his first few weeks in the Army from June 1916-August 1916. And also when he made Mess Sgt. 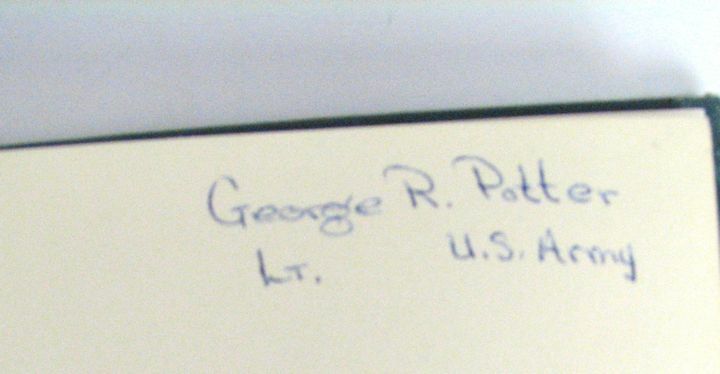 Inside the back cover is a note that the book was also used by James Peterson, March 1934 for Reserved Officer Training. 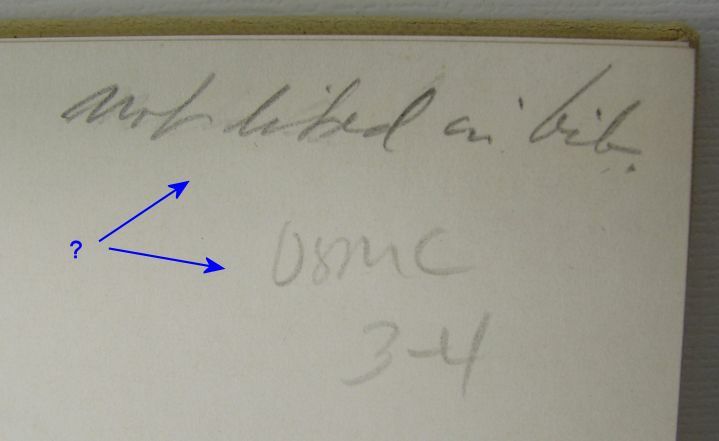 Book has a lot of scribbles in it; part of a page missing and general wear. 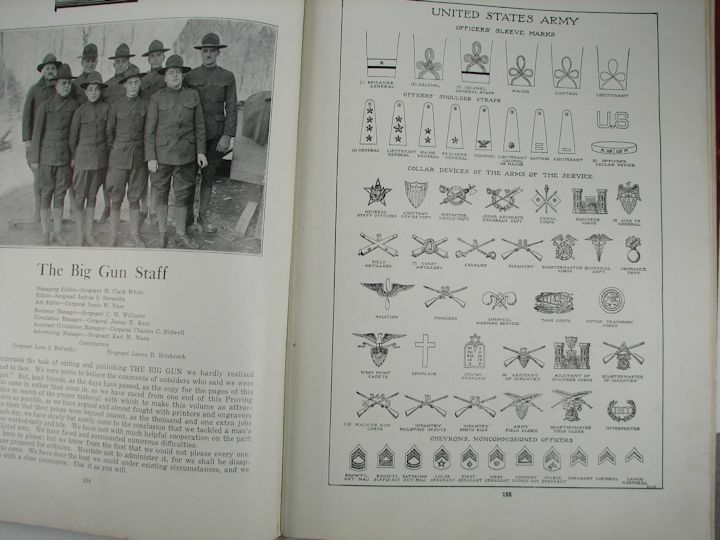 1919 INFANTRY DRILL REGS. 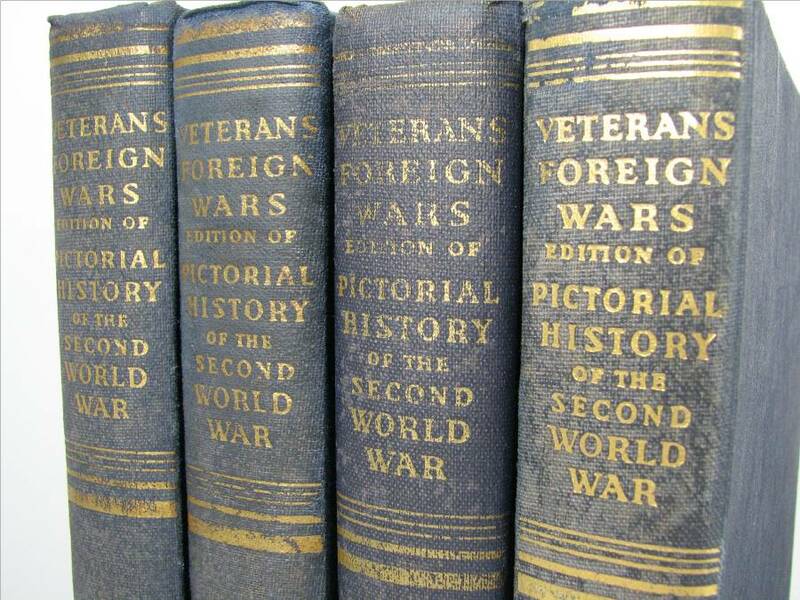 : WW1 book. Shows use but I see no major damage other than flexing of the cover with some soiling and spots on the back. The cover is cloth type material. 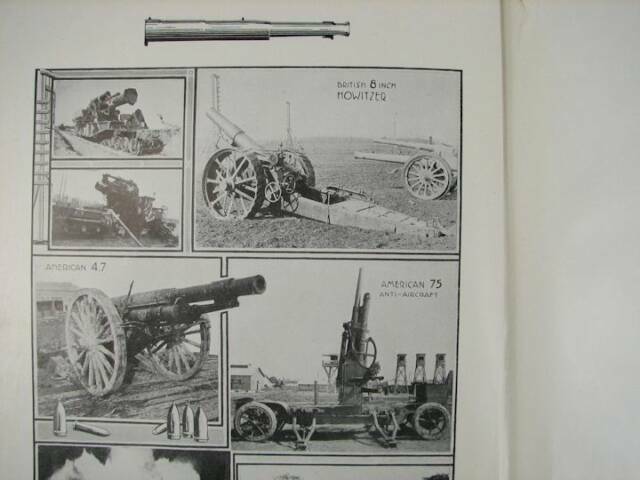 About 4 1/4" X 5 3/4", 189 numbered pages. 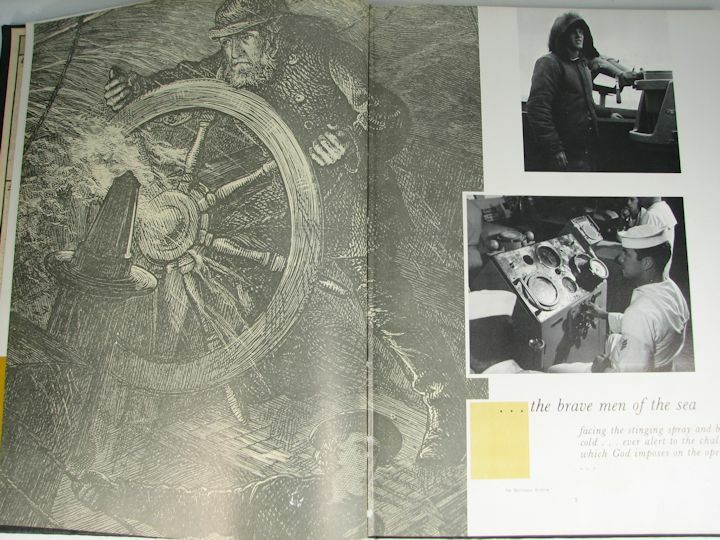 1941 PICTORIAL REVIEW. Fort Leonard Wood, Missouri. 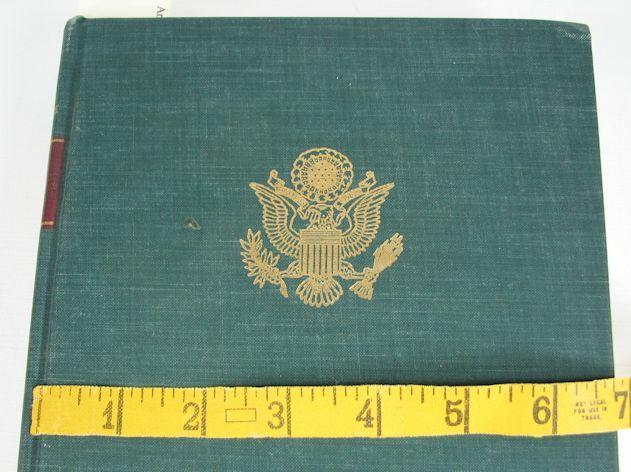 Measures about 9 X 12 and has 134 numbered pages. 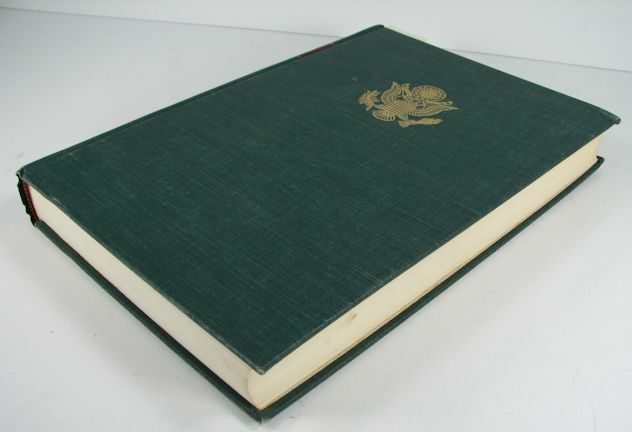 The cover is torn in two places on the edge and the binding is loose, however, all pages are intact and with a little glue can be made to appear better. Please view the photos and ask for more if you need them. 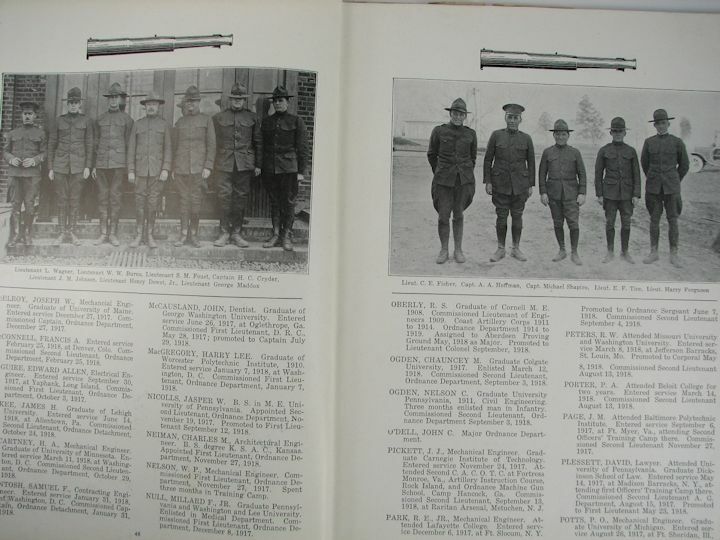 1911 INFANTRY DRILL REGULATIONS, UNITED STATES ARMY: Well used book. Still solid and not falling apart. Lots of good info in here. 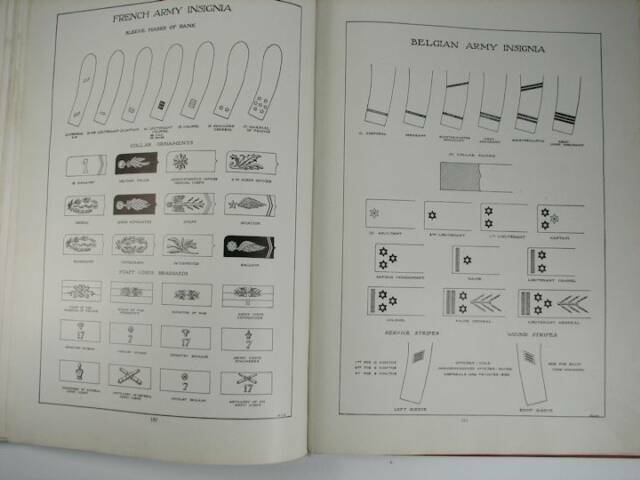 A picture of how to pack the backpack; bayonet use; bugle calls; signal flags and a lot more. 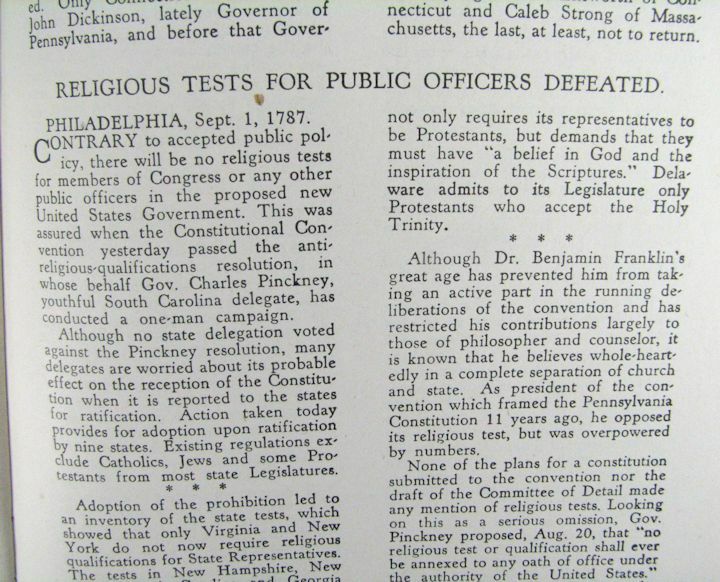 About 4 1/2" X 6" with 246 numbered pages and several pages in the back of changes and corrections up to November 1913. 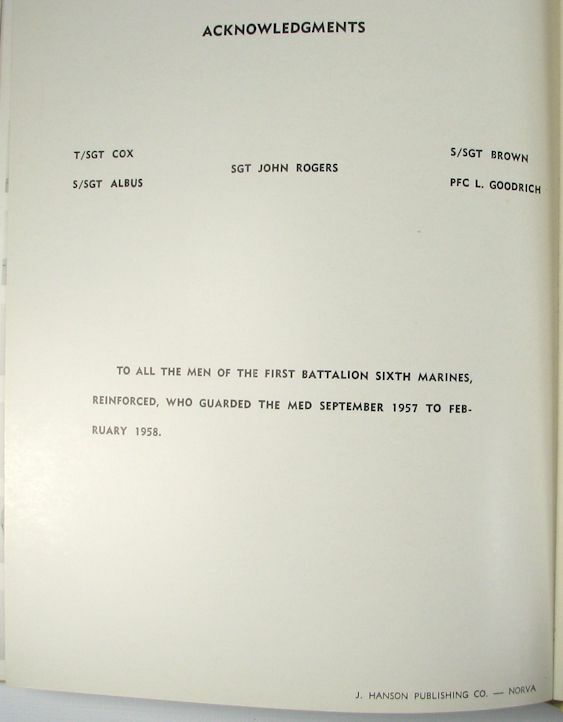 Name written in the front cover (L. Tingley) along with morse code. 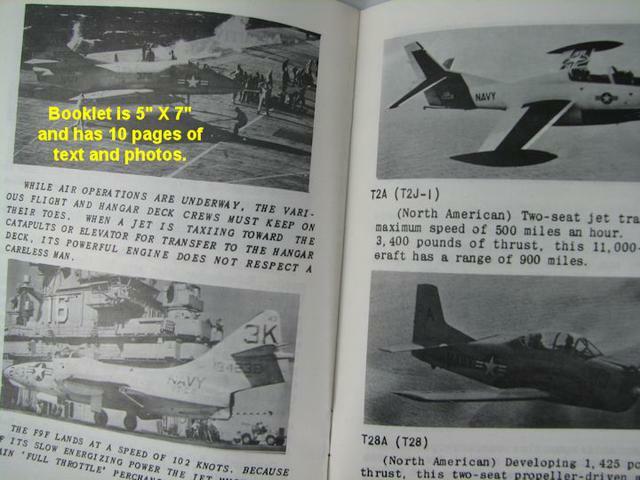 It is about 4 1/2" X 5 1/2" and has 262 numbered pages. Good info inside. 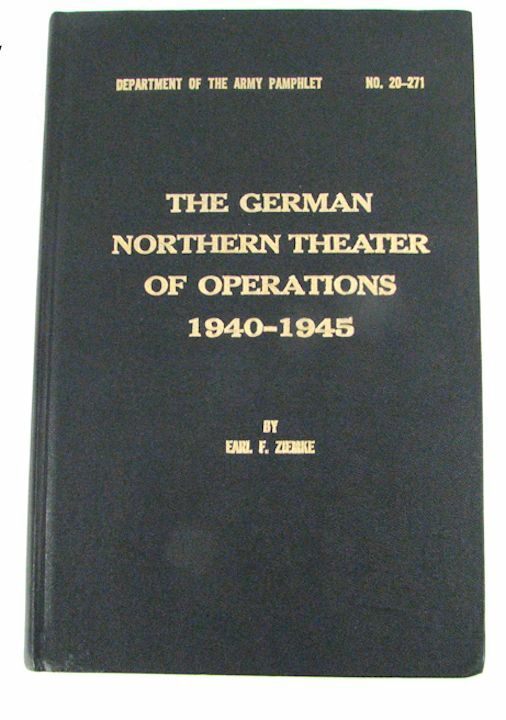 "THE GERMAN NORTHERN THEATER OF OPERATIONS 1940-1945": Department of the Army Pamphlet No. 20-271. By Earl F. Ziemke. 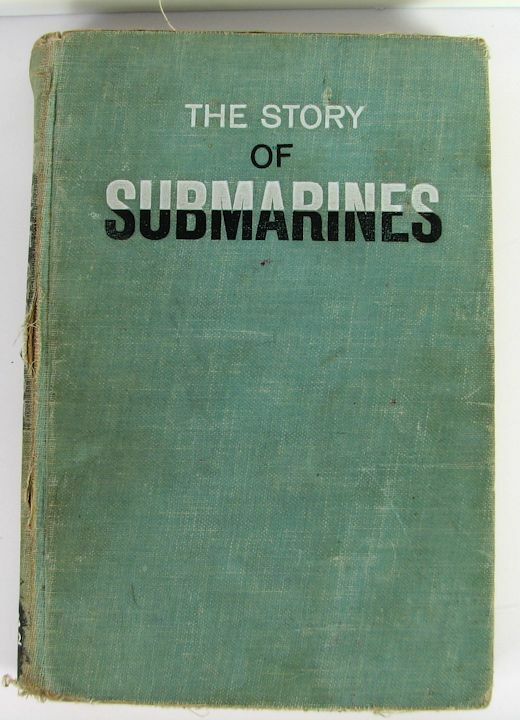 Published 1959. 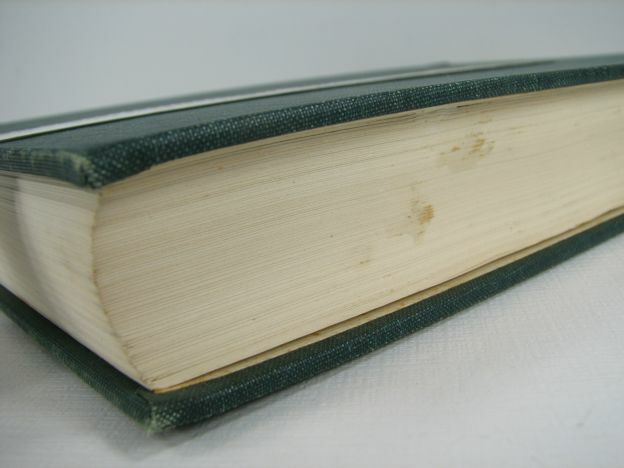 Semi hardcover with corner bumps. No major damage. 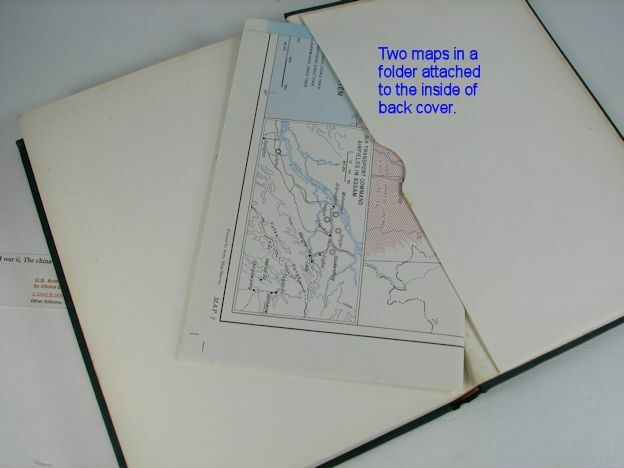 Fold out maps inside. See photos for more description. 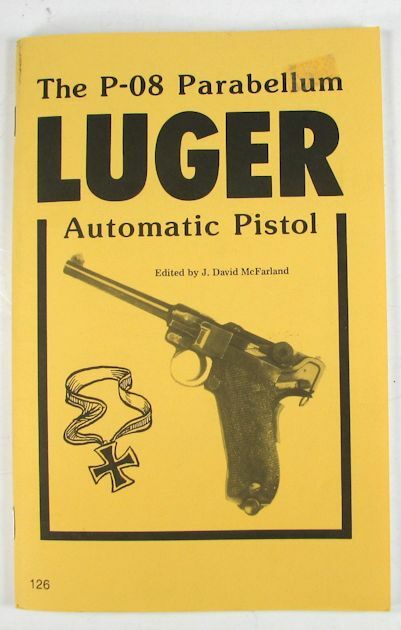 Published in 1956. See photos for more details. 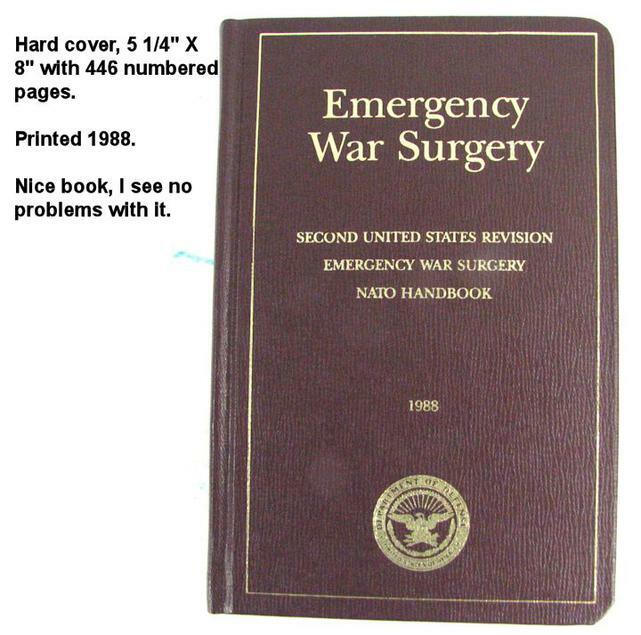 "EMERGENCY WAR SURGERY". NATO HANDBOOK. Printed in 1988. Nice book. See the photo for more details. 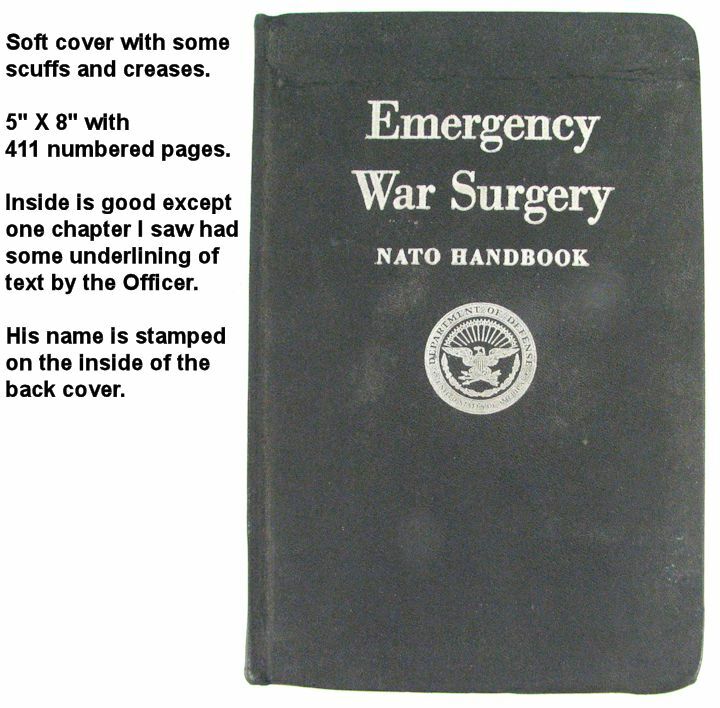 "EMERGENCY WAR SURGERY": NATO HANDBOOK: Printed in 1958. Officers name is inside of back cover. See photos for more info. Interesting and humorous magazine. 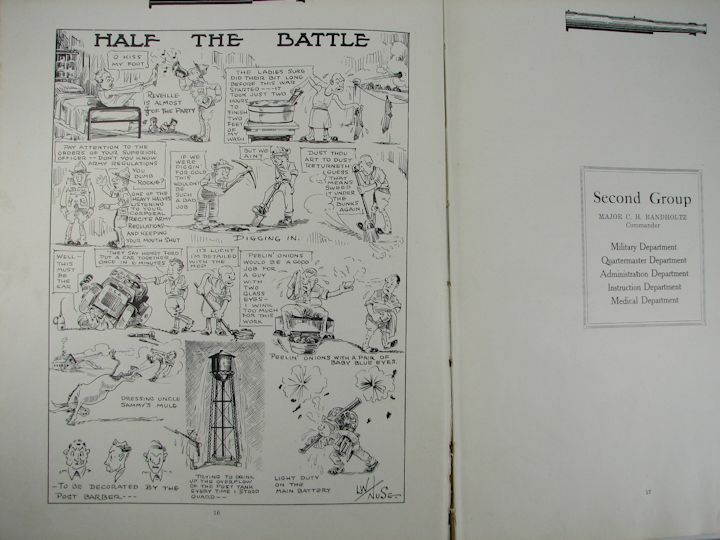 WAR cartoons and articles. Period advertising. Some wear of the edges with light folds and handling wear. 9" X 11" with 11 pages, text on both sides. Cover art by Orson Lowell. 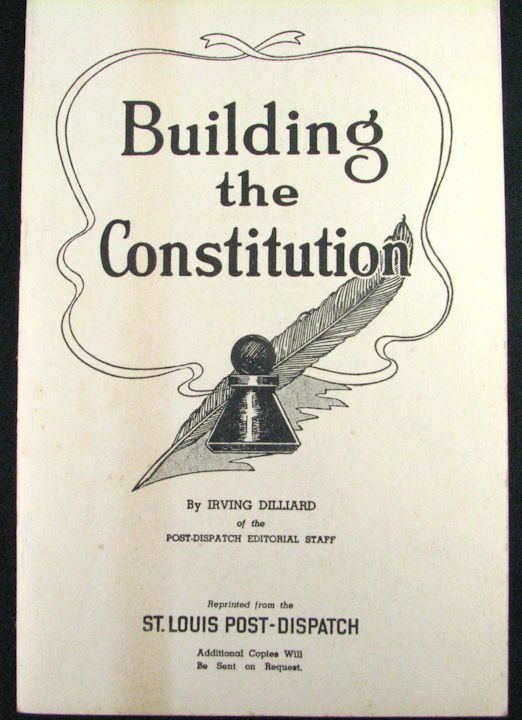 BUILDING THE CONSTITUTION, 1944 PRINTING: Everything you would want to know about our Constitution. Very educational. 5 1/2" X 8 1/2" with 32 numbered pages. Soft cover. Pretty nice condition with no damage; just some age coloring. 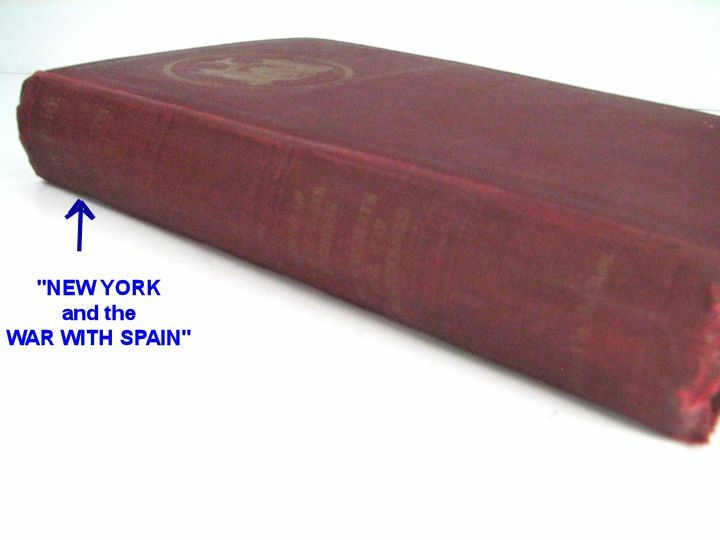 NEW YORK AND THE WAR WITH SPAIN. 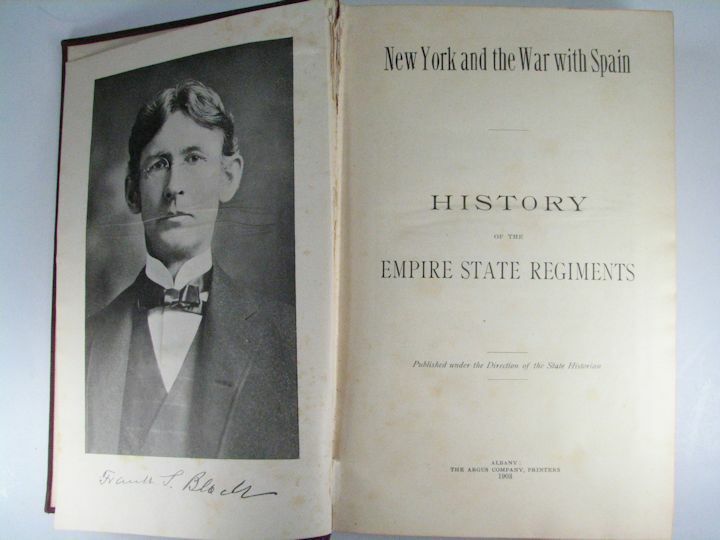 HISTORY OF THE EMPIRE STATE REGIMENTS: A nice book covering everything you would want to know about the New York National Guard and their participation in the Spanish-American War or 1898. 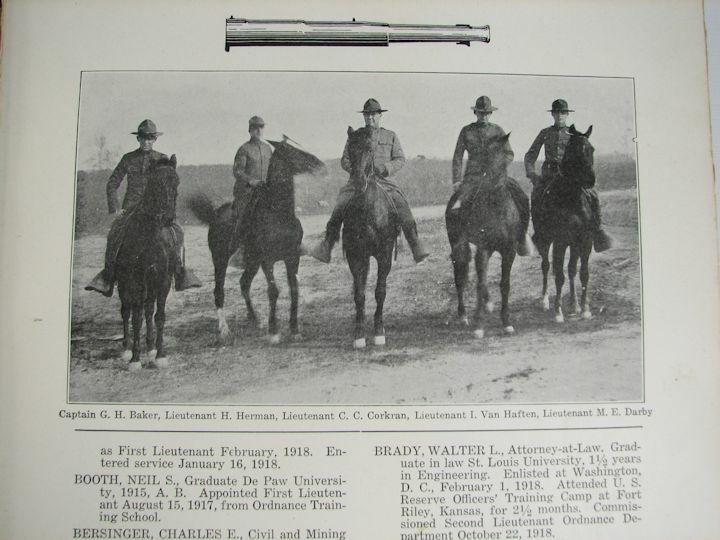 Little known fact that Company I of the 71st NY were with Roosevelt's Rough Riders when they charged up Kettle Hill in Cuba. Book covers all of the NYNG units. 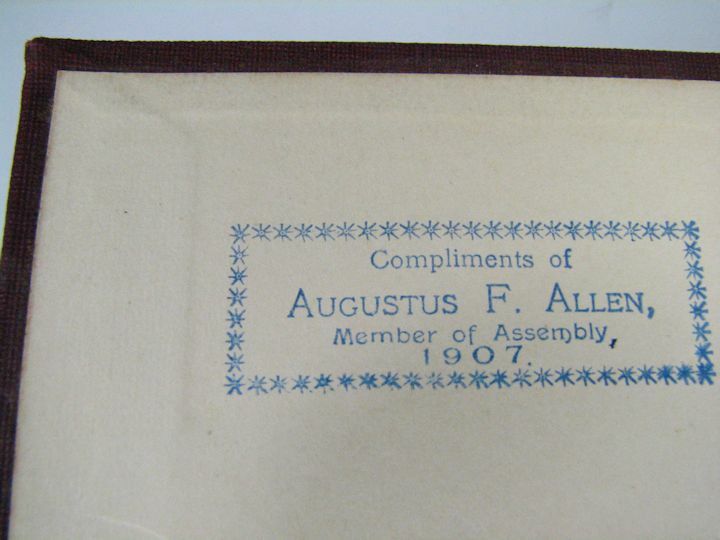 Book was an official presentation from "Augustus P. Allen, Member of Assembly", in 1907. 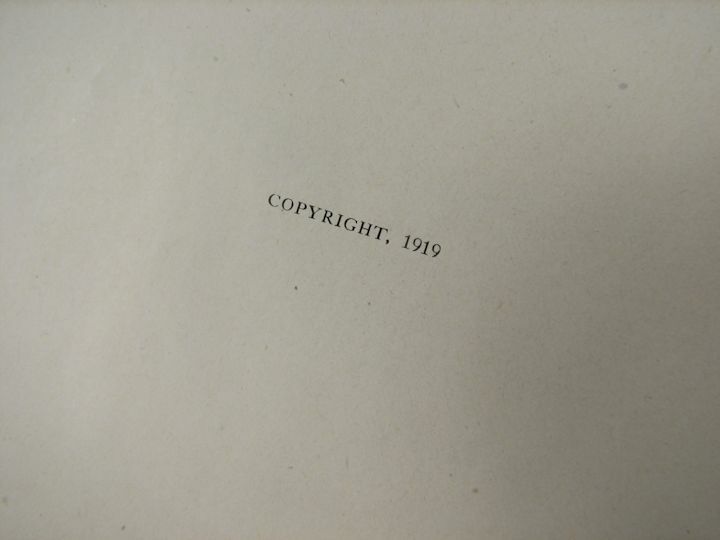 The book was actually published in 1903. It is 6" X 10". 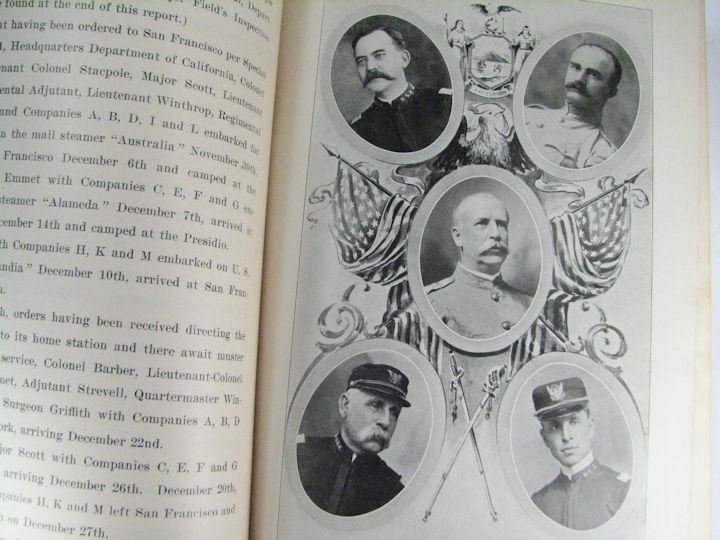 The first part of the book covers the Spanish American War and consists of 429 pages. 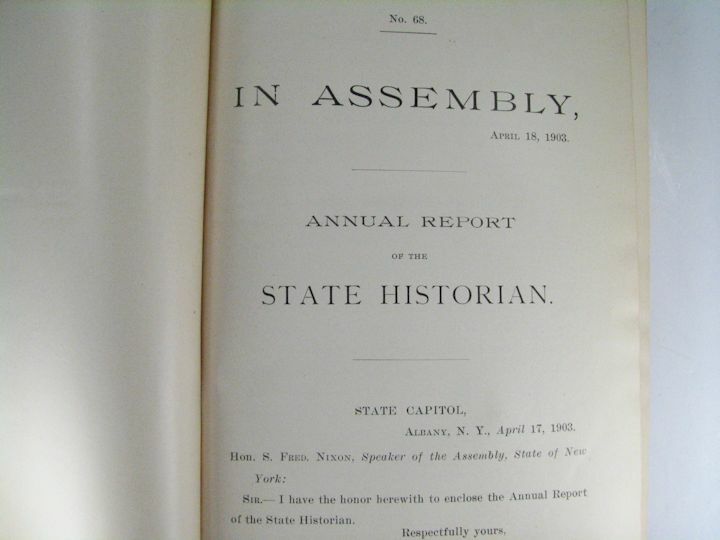 The second part of this book (an additional 192 pages) is Col. Silas Burt's "My Memories of Military History of the State of New York During the War for the Union 1861-65". 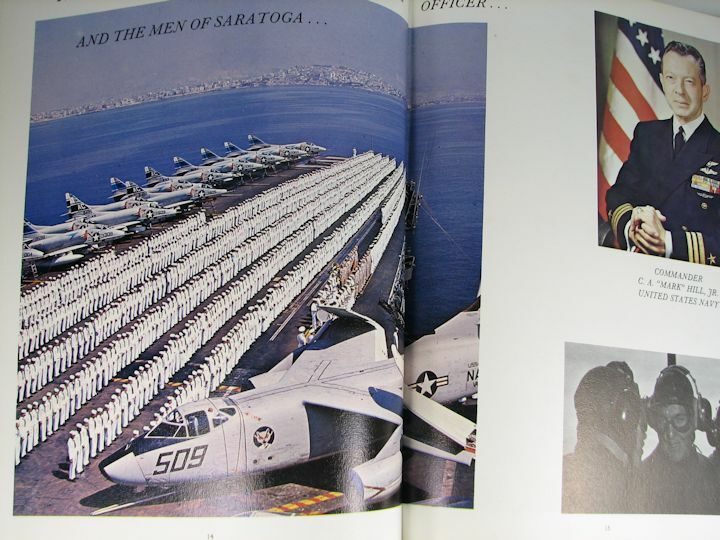 The book has a few photo 'plates' of important people at that time. 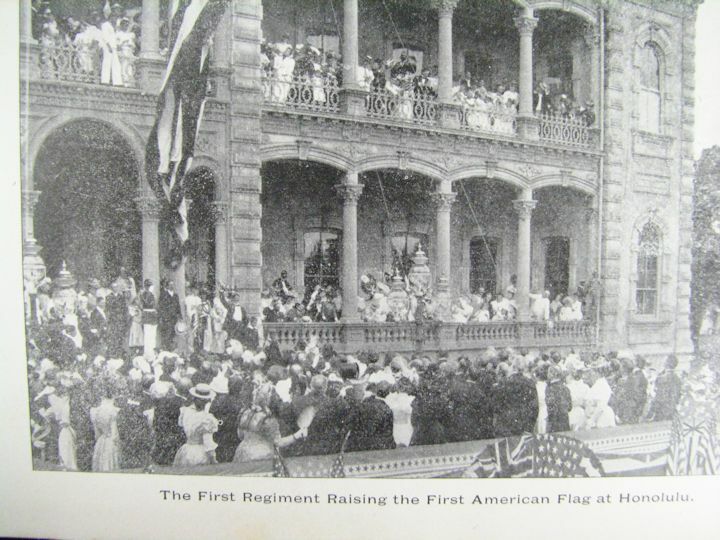 There is a 4 page foldout of the 1st Regiment on parade in Honolulu. 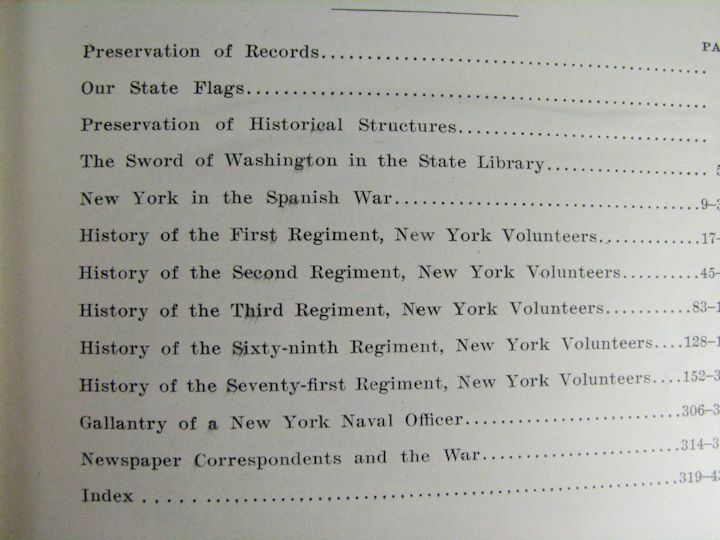 The NYNG participated in most of the theaters of the Spanish American War. 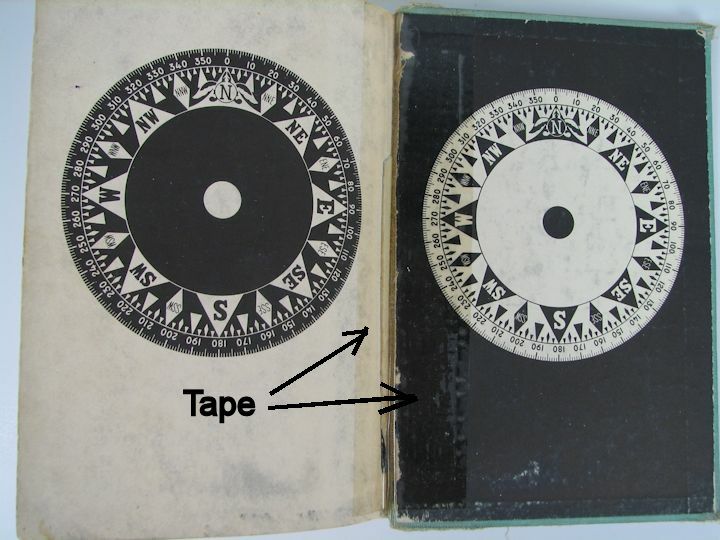 Only 'damage' I see is inside of the front and back covers where there is some separation at the spine (Please see photos). The embossed gold lettering on the book's spine is faded out and hard to read. This book is an original first printing and not a reprint. 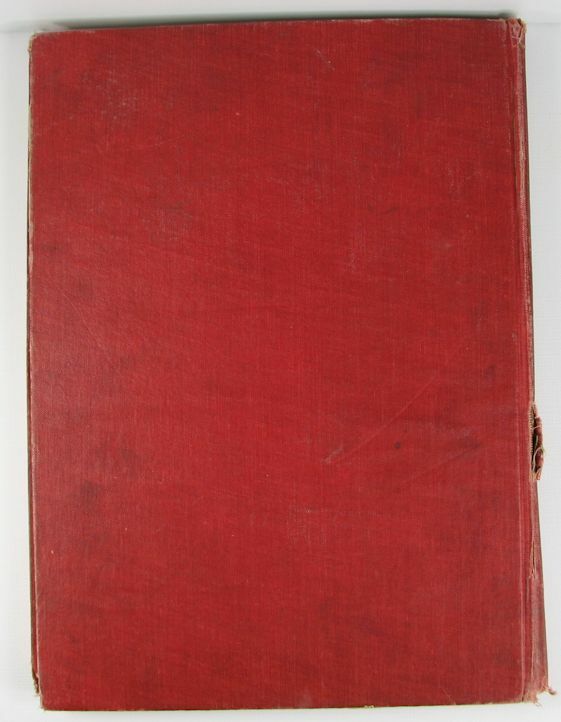 It is hard back with red cloth covers. 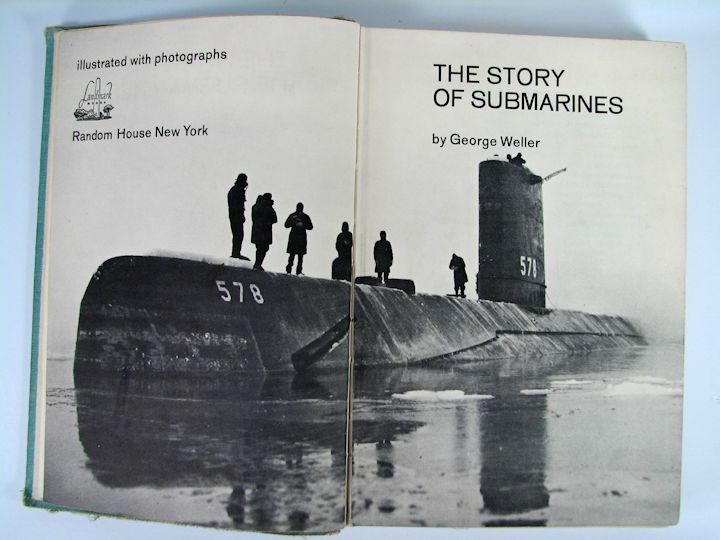 It was published without a dust cover. 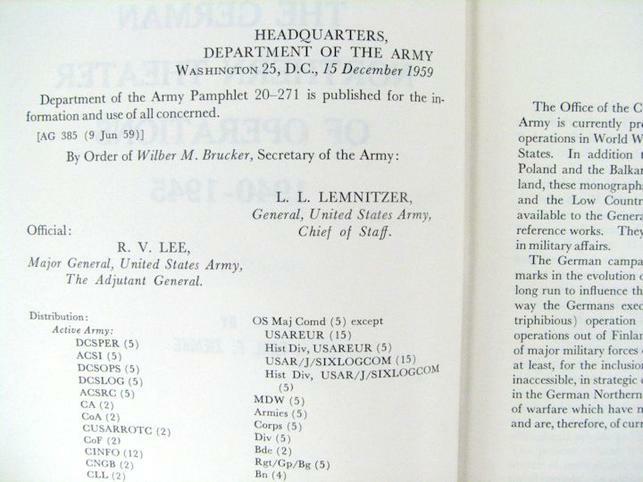 1943 manual printed in 1947. FM 21-105. Lots of good info. Soiled, dog eared and some damage, see photos please. 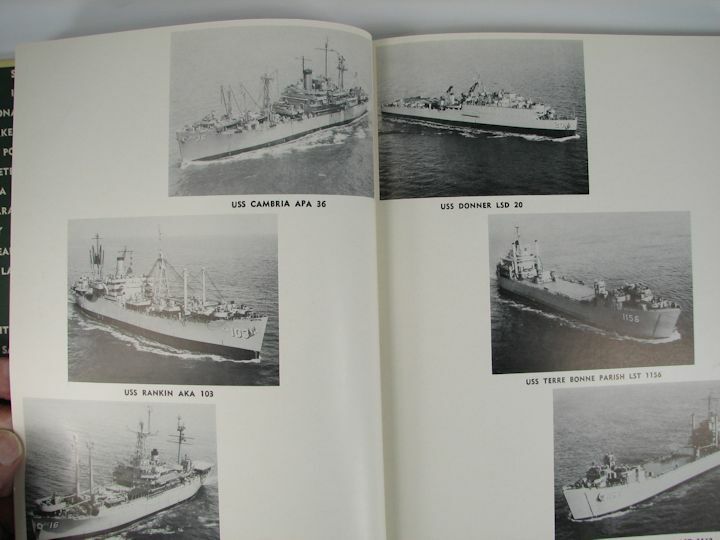 "The Ship I Sailed On, USS GENERAL G.M. 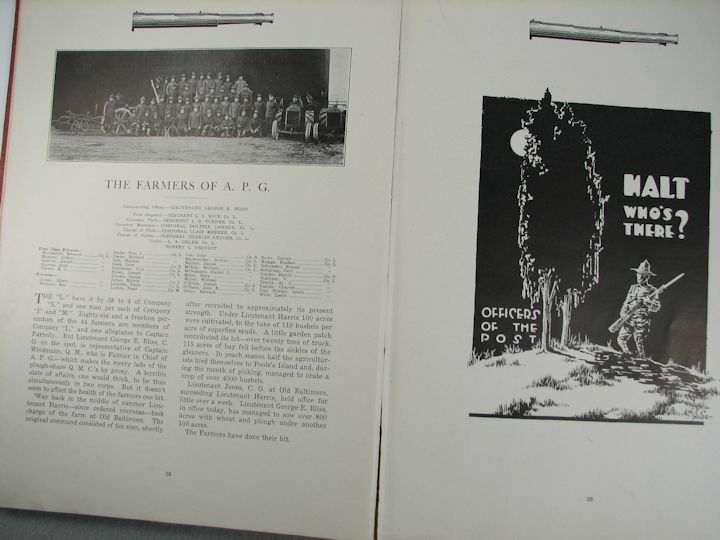 RANDALL": Souvenir book from soldier's dependants transport. 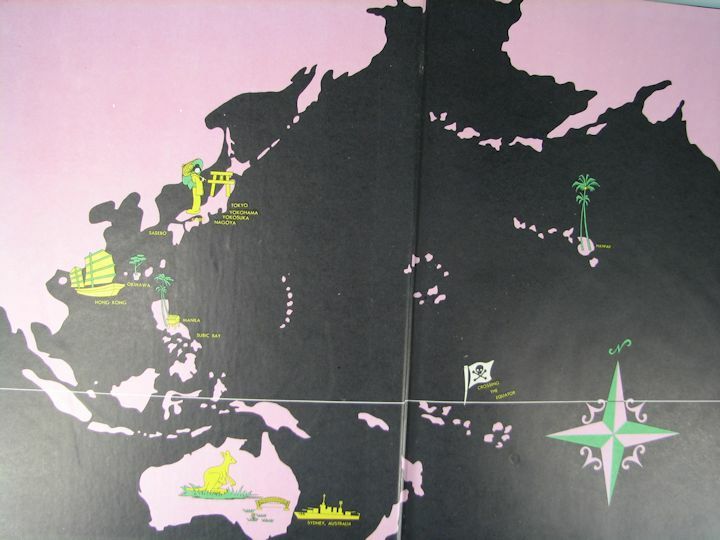 Dated 1952, Korean War era. Size is 5-1/4" X 7-1/2" with lots of photos. Condition shows some bent corners from the years. Neat item. 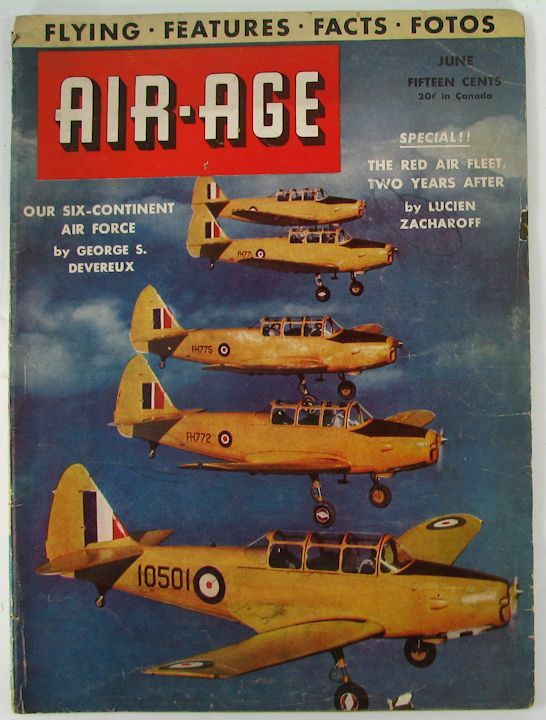 WW2, AIR-AGE MAGAZINE, JUNE 1943: War time issue. Shows wear and tear from the years. 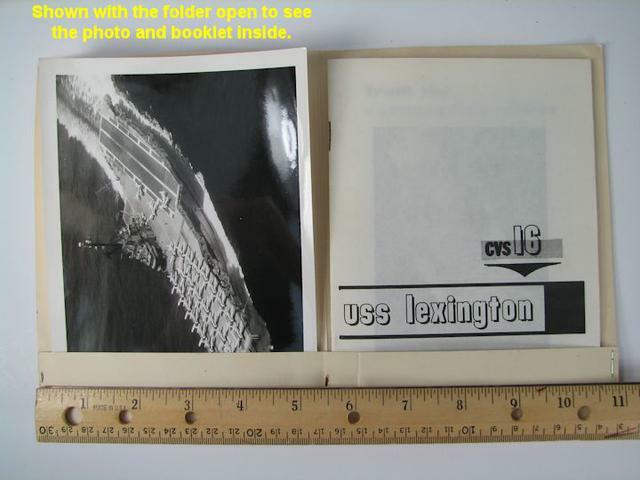 8-1/2" X 11-1/2" with 74 numbered pages. 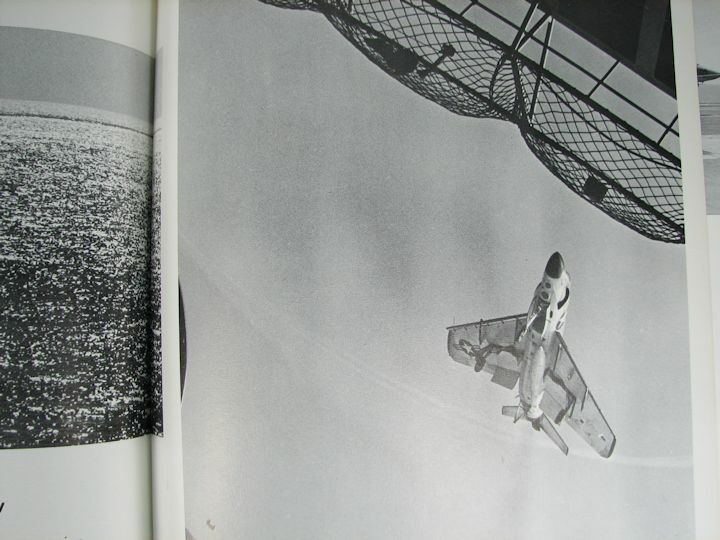 Neat period aircraft photos, ads and articles. Interested in contents? Contact me. 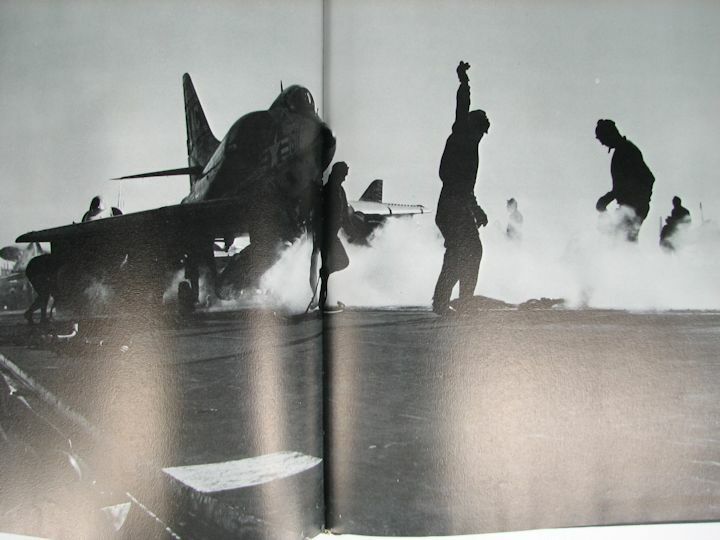 WW2, SKYWAYS MAGAZINE, JANUARY 1945: War time issue. Shows wear and tear from the years. 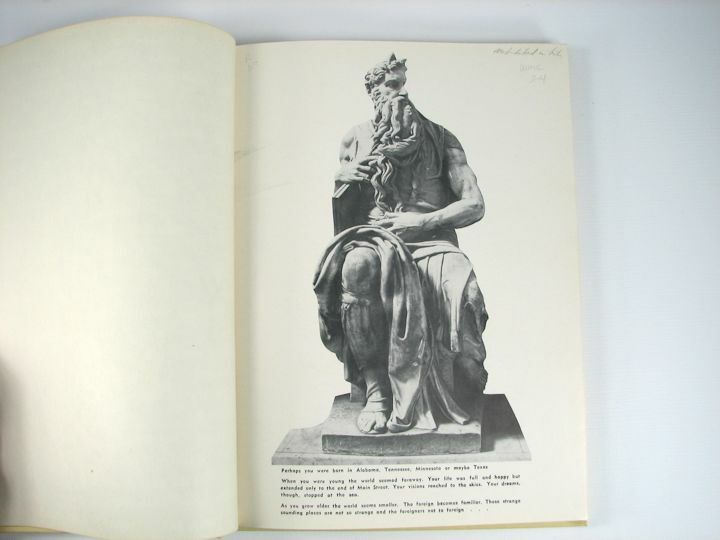 8-1/2" X 11" with 106 numbered pages. Last 20 pages are dog eared and back cover edge is eroded. 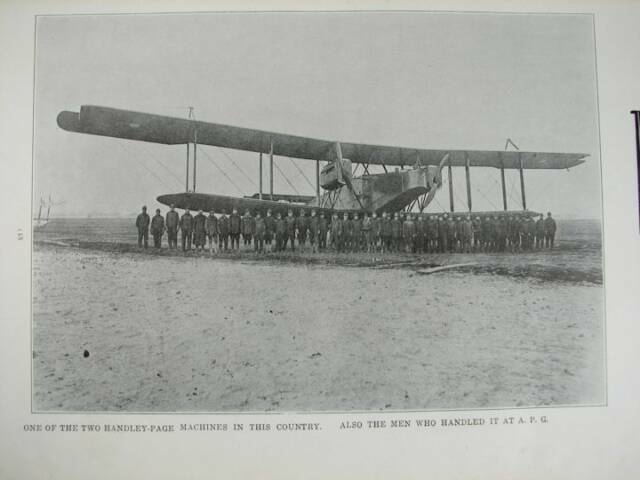 Neat period aircraft photos, ads and articles. Interested in contents? Contact me. WW2, FLYING ACES MAGAZINE , SEPTEMBER 1944: War time issue. Shows lots of wear from the years of handling and reading. Major wear are two one inch tears through all pages at the center of the right edge and lots of smaller edge tears. 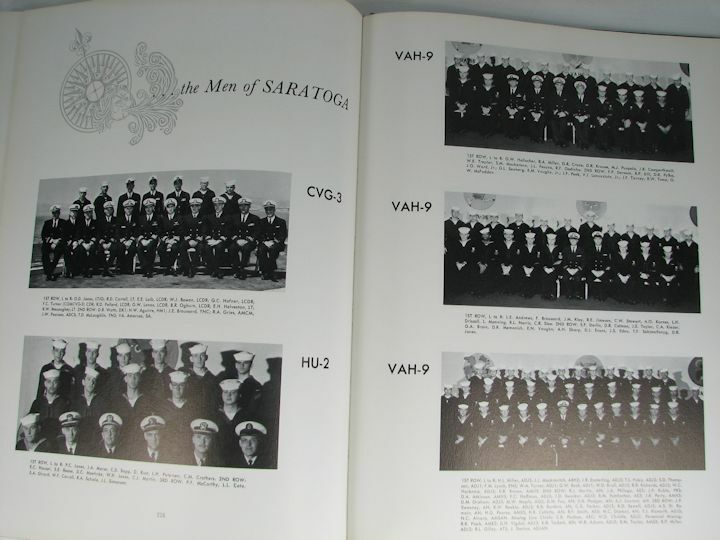 8-1/2" X 11" with 74 numbered pages. 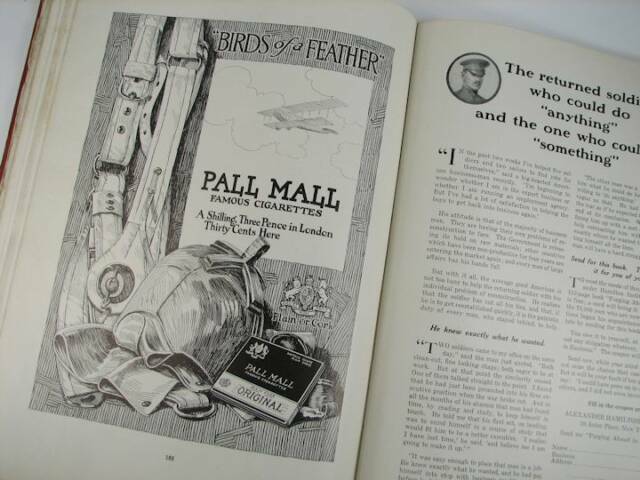 Lots of period aircraft photos, ads and articles. Interested in contents? Contact me. KOREAN WAR COMBAT ENGR. 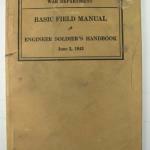 MANUAL, FM 5-132: Well used and soiled. 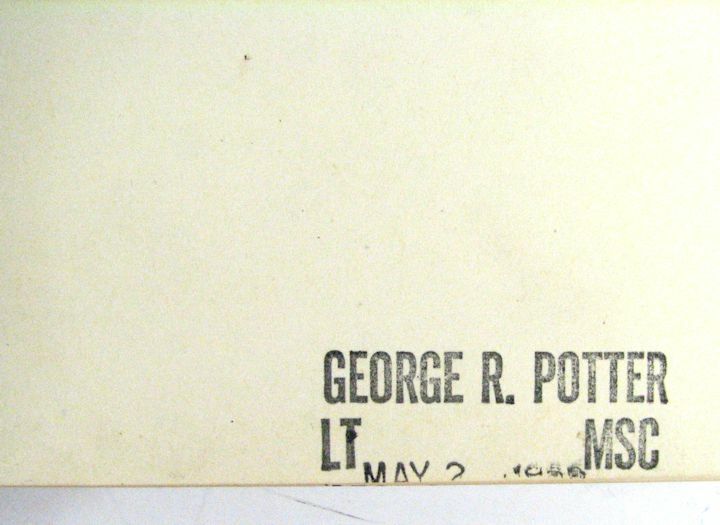 Major's name on the front. 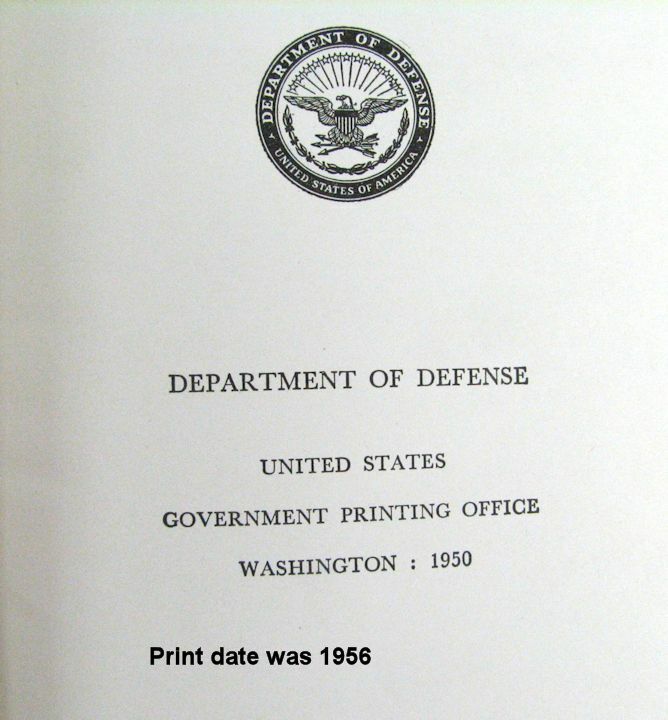 "TENTATIVE TECHNICAL MANUAL, USE of FOREIGN MAPS": Printed Nov. 5, 1942 for the WAR DEPARTMENT, Washington, D.C. It is 8" X 10-1/2" in size. 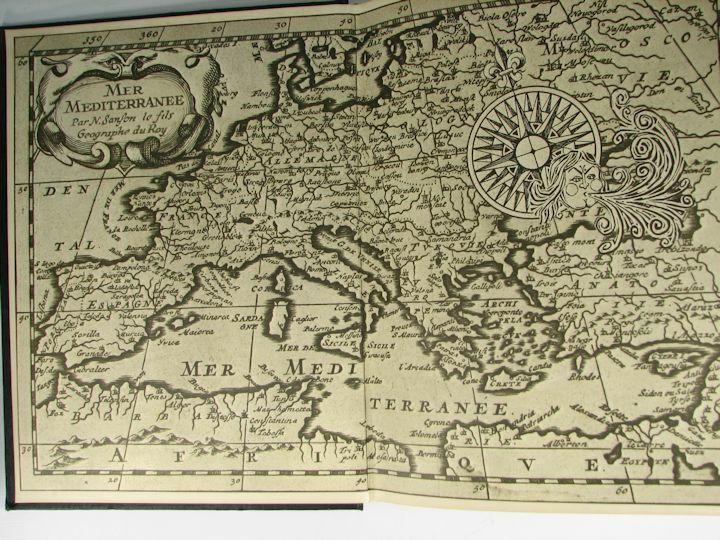 The pages are not numbered but the book is about 1/4" thick and it has 5 fold out maps. Real good condition with no damage or soiling evident. Two available. Item # 715993 $2.00 each. 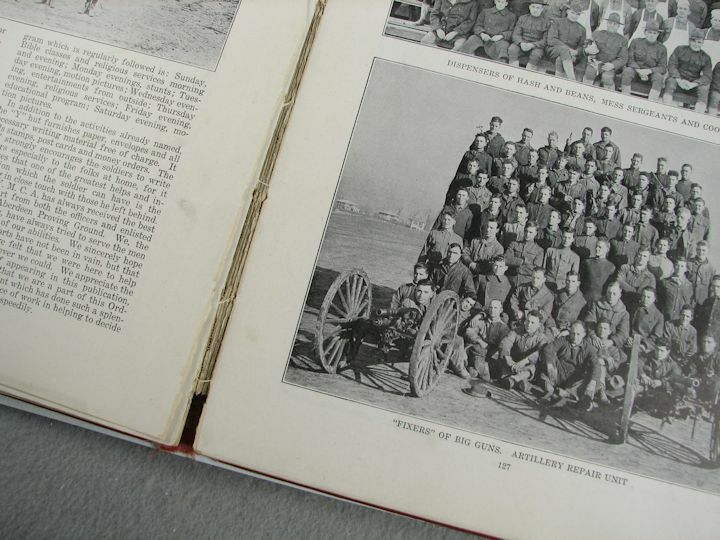 1913th ENGINEER (AVIATION) BATTALION, "WE WERE THERE": A Journal and History, January 1943-December 1945. 6" X 9" with 26 numbered pages. A later soft cover reunion printing with some hand written notes inside. "SERVICEMEN'S MORNING WATCH": Daily inspirational Religious readings. 5" X 3-1/2" with two years, 1945-1946 of daily readings. 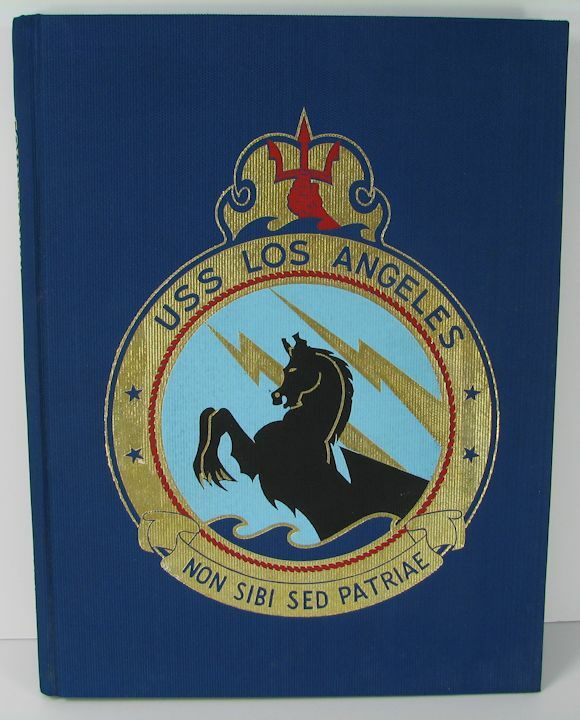 USS LOS ANGELES, CA-135, CRUISE BOOK. COUNTDOWN 1957-58: Westpac Cruise Book 1957-1958. 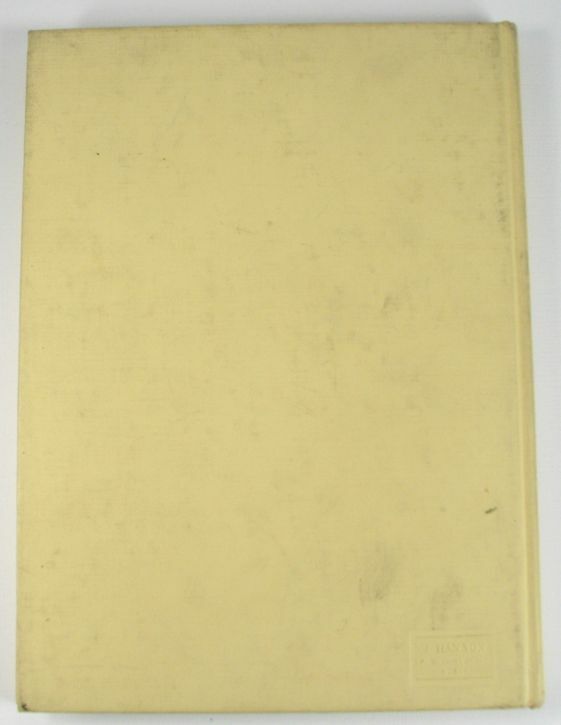 Nice condition book with its original mailing carton. 8-3/4" X 11-1/4" with 145 numbered pages. 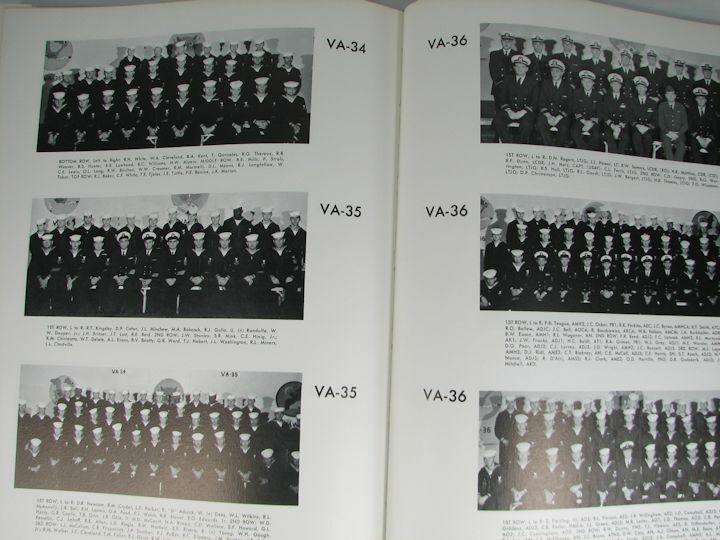 Following the last numbered page are 5 more pages of photos etc. 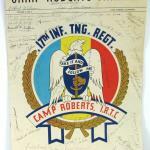 USMC, CAMP LEJEUNE, NEW RIVER, N.C. : This is a Christmas Greeting book from the Marine Corps base in N.C. 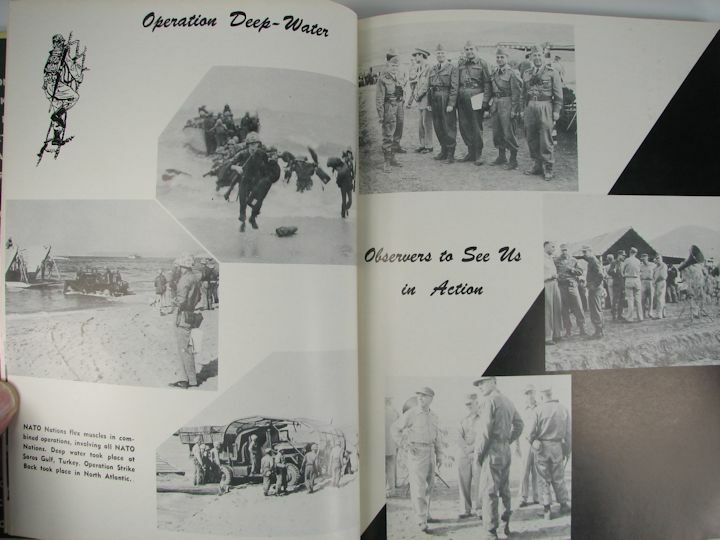 I do not know the date but the photos are of training exercises WW2 period? 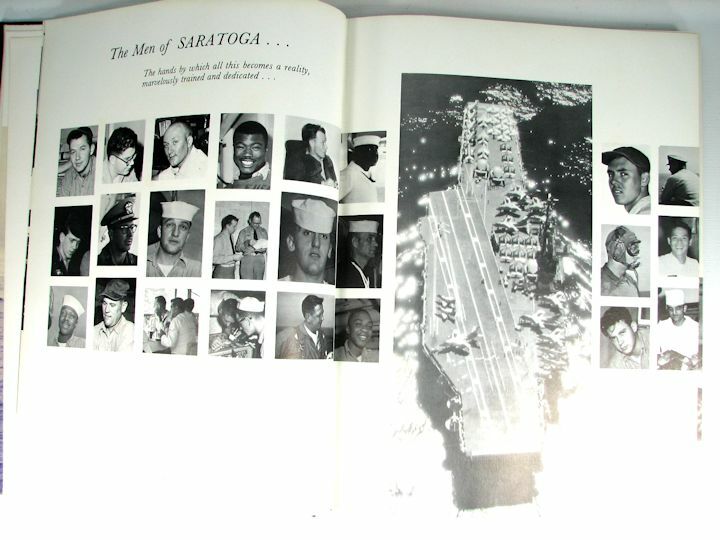 The book has 11 pages and 42 photos. Leather covers. 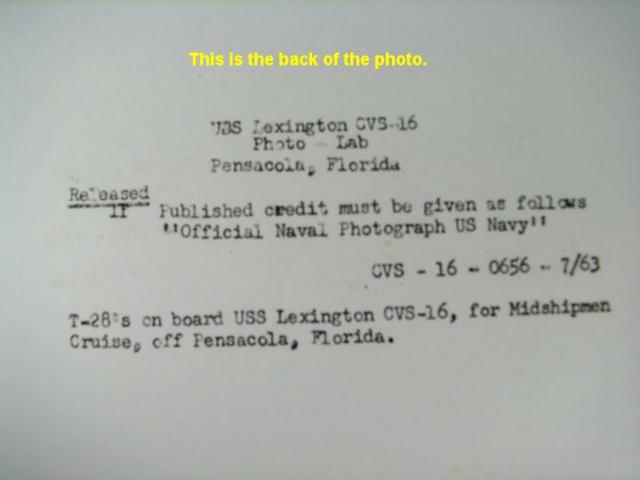 4.5" X 5.75"
USS LEXINGTON, CVS-16. 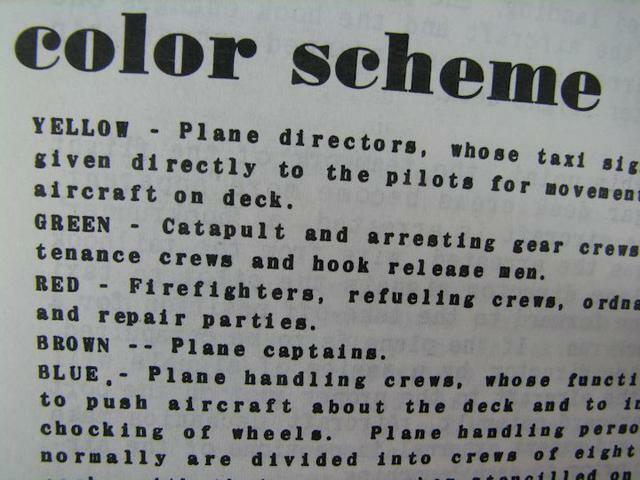 PILOT TRAINING CRUISE, 1963: See photos for more information. 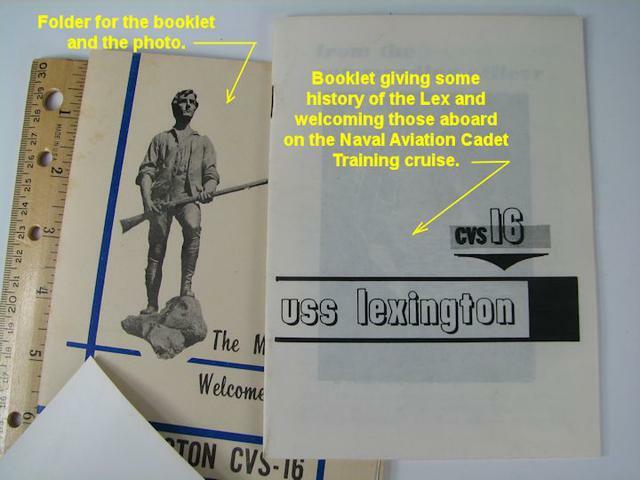 Consists of a folder containing a photo and an informational booklet. 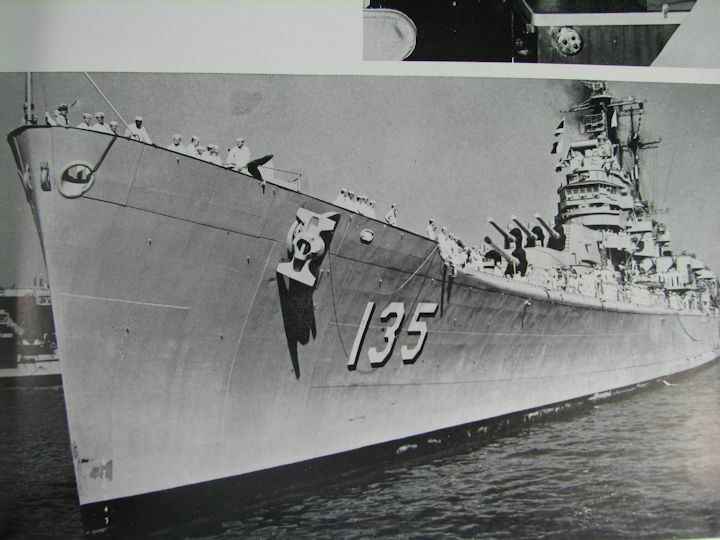 USS KEARSAGE, CVA-33. CRUISE, SUMMER 1953: See the text on the photos for more information. 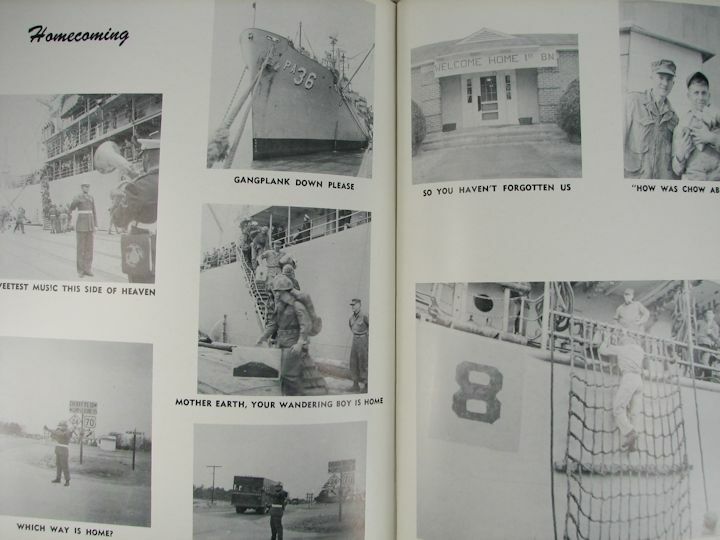 Book informs the sailors of all they need to know about their visit to Japan and Korea. 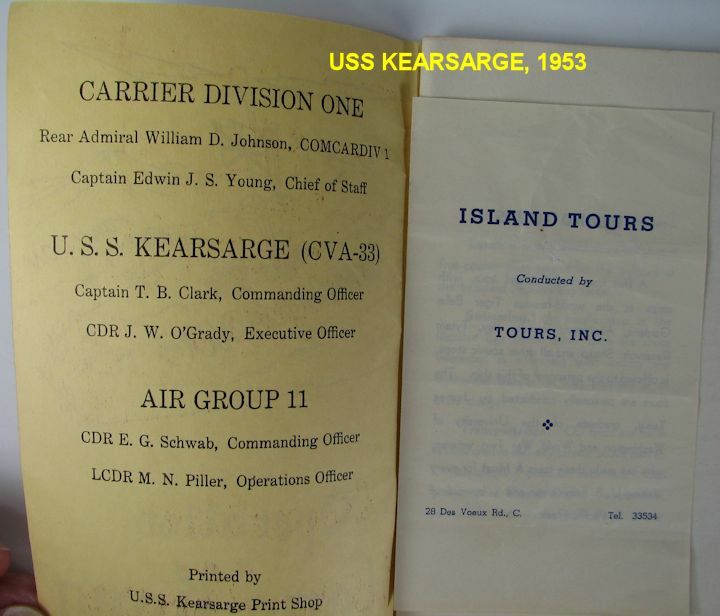 USS KEARSARGE, CVA-33. 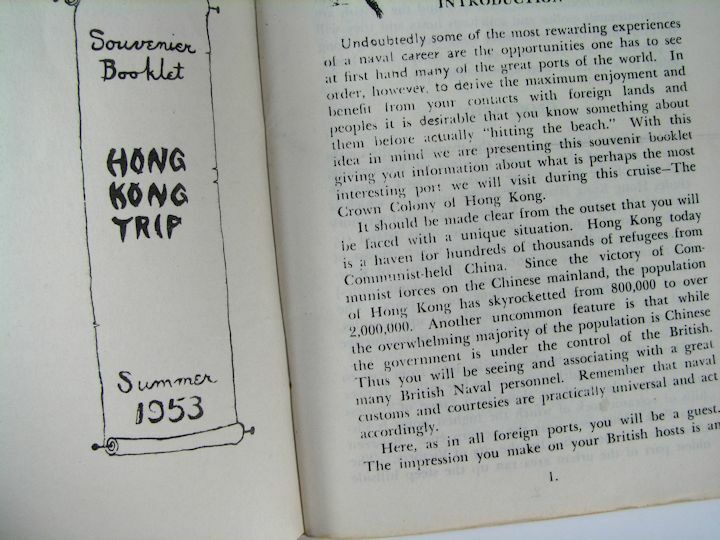 CRUISE, SUMMER 1953: See the text on the photos for more information. 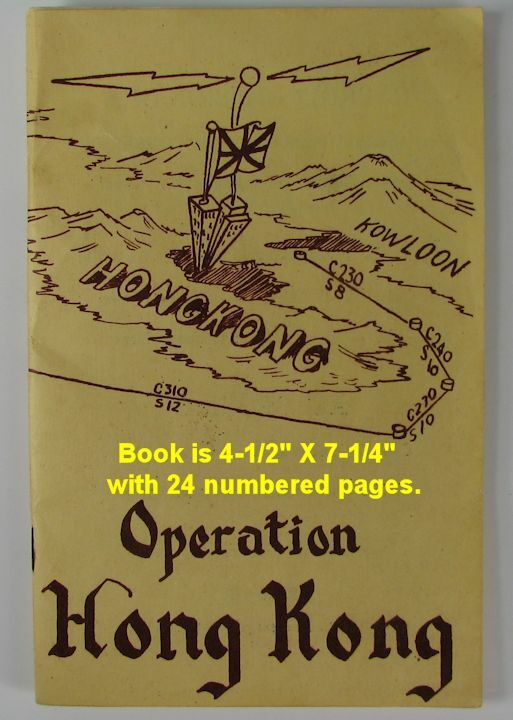 Book informs the sailors of all they need to know about their visit to Hong Kong. 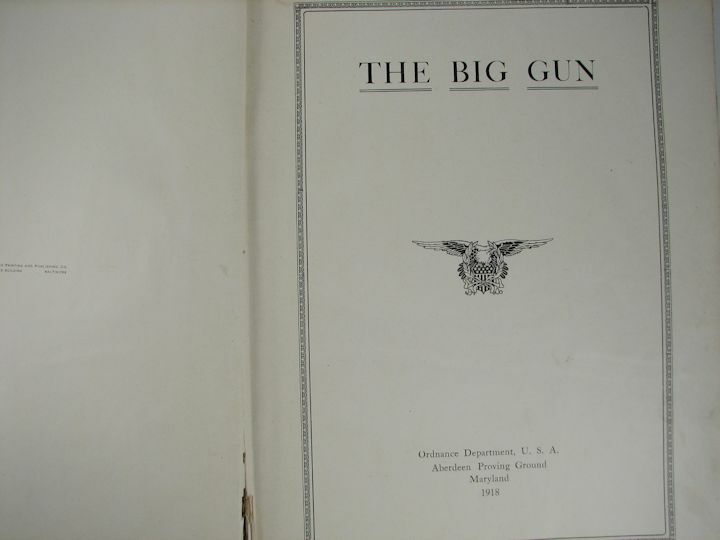 1905 SHIP AND GUN-DRILLS, U.S. NAVY: This looks to be the original, first printing of the 1905 manual. 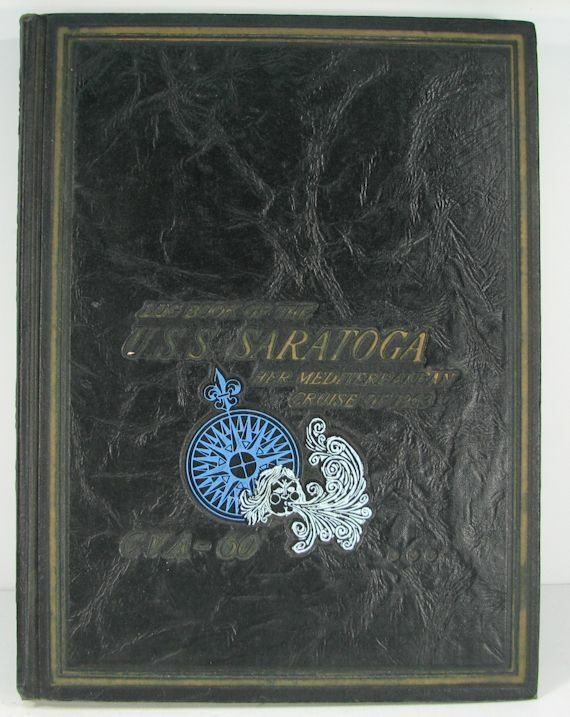 It has everything you would want to know about shipboard duties of the Great White Fleet sailors. 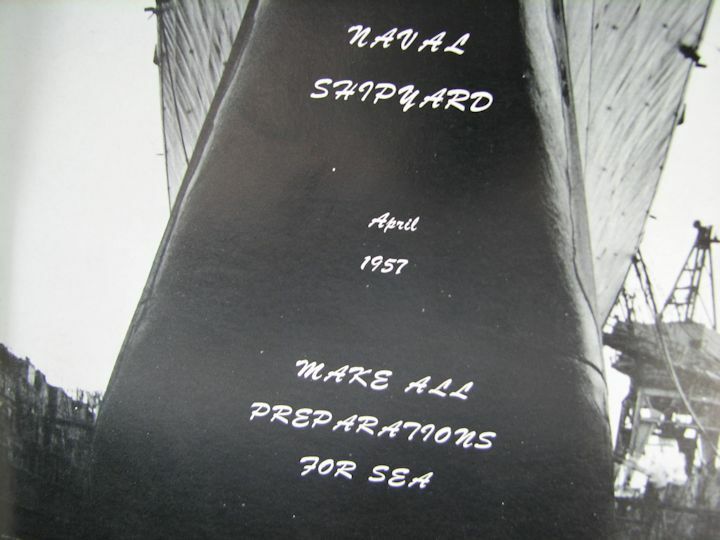 Divided into 7 parts; Part 1, Organization and Practical Naval Gunnery. Part 2, Gun-Drills and Notes. Part 3, Emergency-Drills. 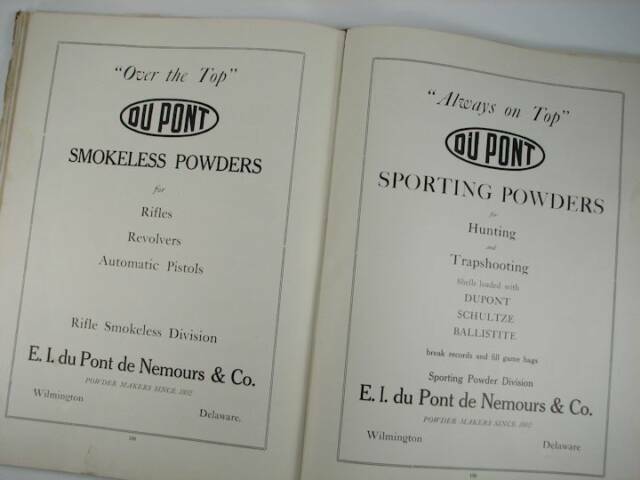 Part 4, Smokeless Powder, Gun Control and Torpedoes. 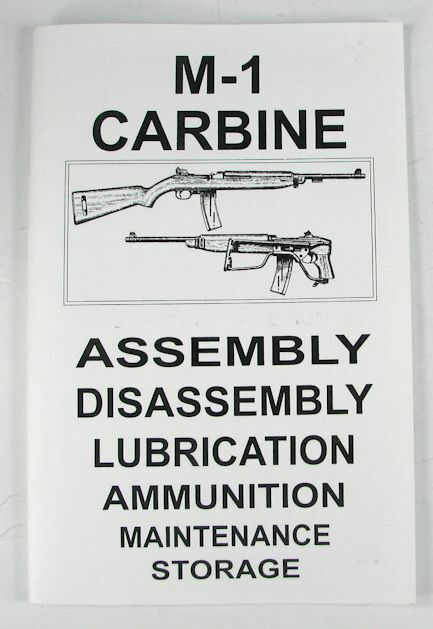 Part 5, Notes on Ordnance Material. Part 6, Physical Exercise. 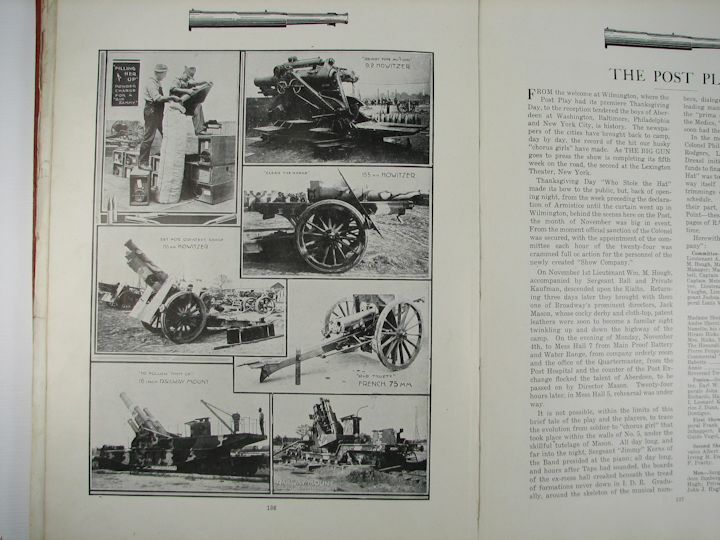 Part 7, Music and Bugle Calls. 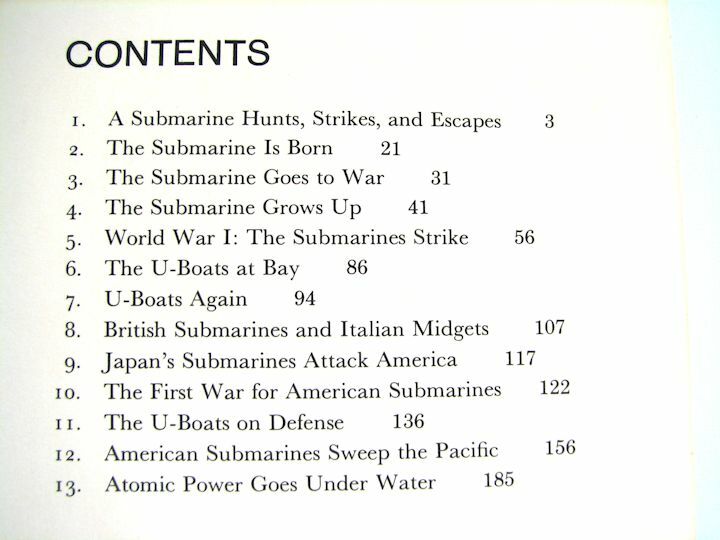 Size is about 6" X 4" with 476 numbered pages. The first numbered page in this book is 5 so I have to assume that pages 1-4 are missing. 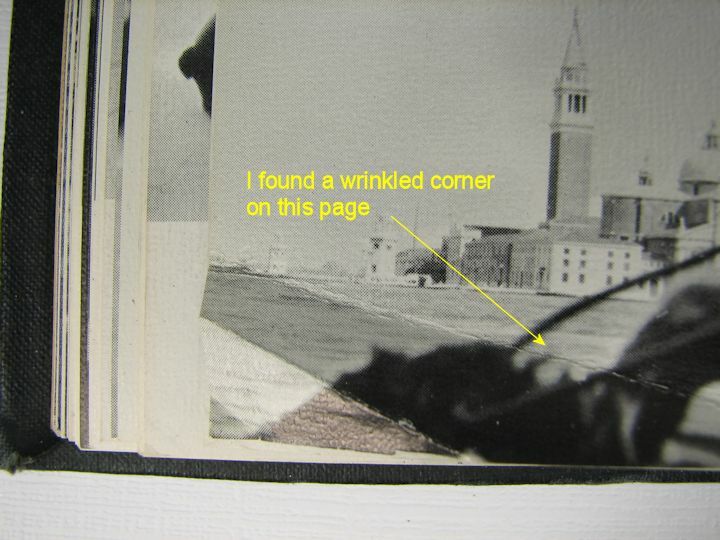 There are several other pages that have come loose but are still there. The covers are loose and not attached. A few pages will have tears of which I photo'd the worst. 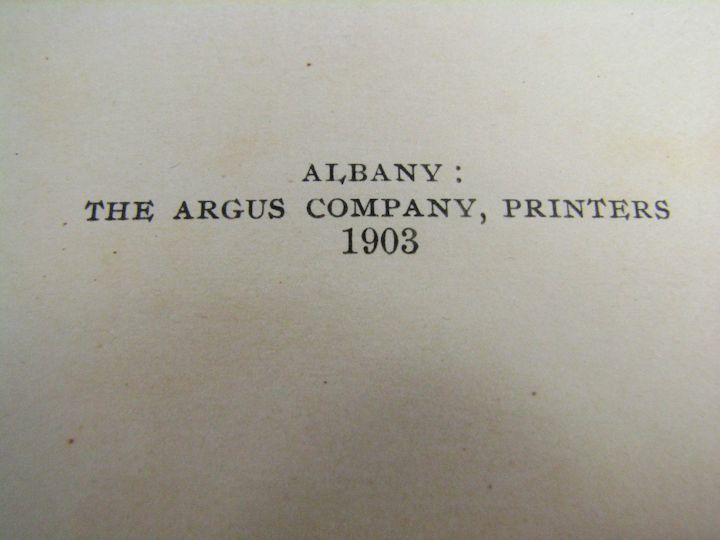 Not too bad for a 110 year old book. This would sell for $40-$50 if in good condition. I have made no attempt to repair anything, it is just as I found it back in 2006. 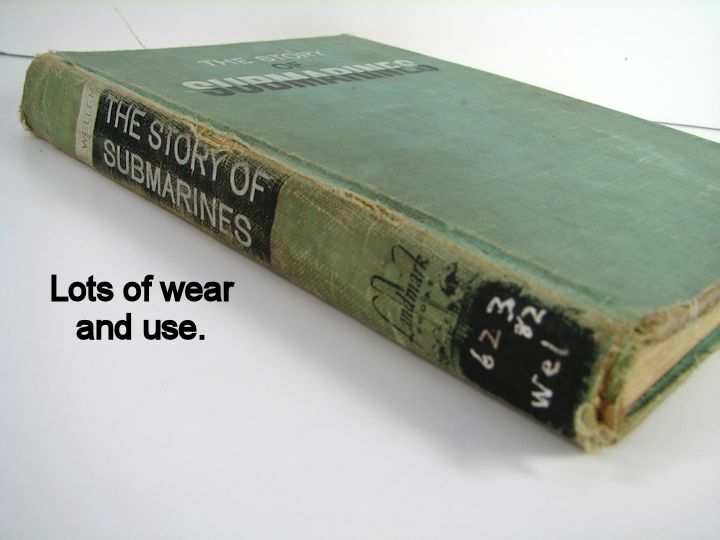 BOOK, "THE STORY OF SUBMARINES": Ex-Library copy in well used/poor condition. It appears to be all there and should be a good read. 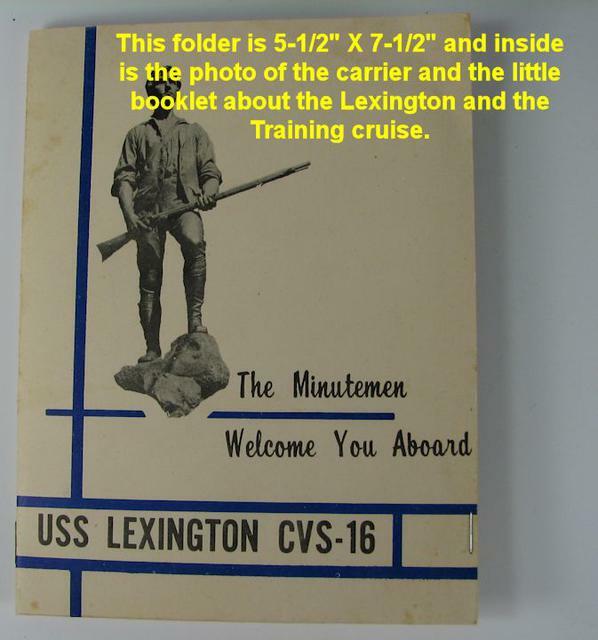 5-1/2" X 8-1/2" with 210 numbered pages. 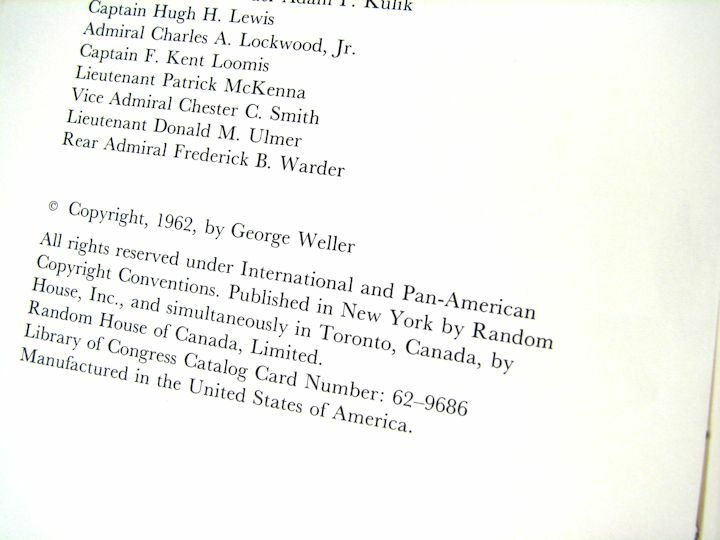 Copyright 1962. 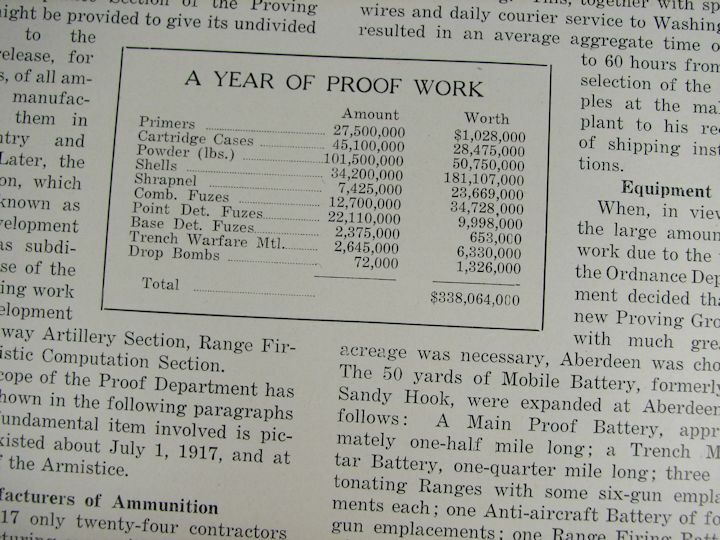 WW2, "SOLDIER'S SOUVENIR HANDYBOOK": 1943-1944 calendars in the back. Contents list all the USO's by State and address. Lots of blank pages for a Date and Place diary. 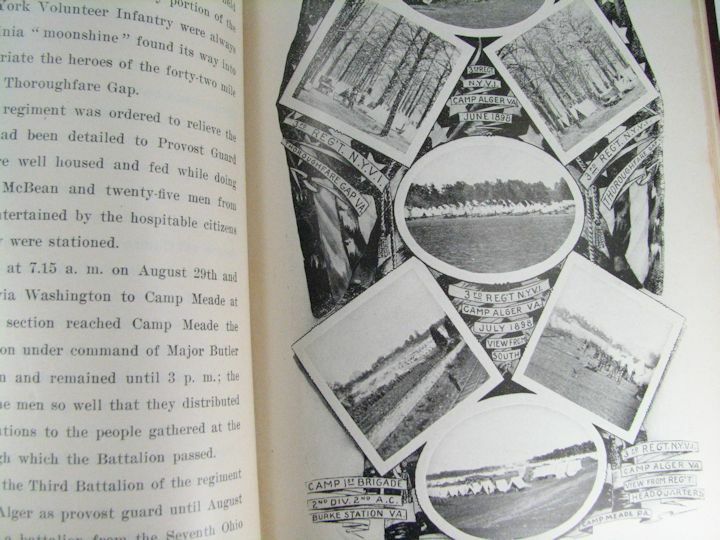 Some sections are Medals and Awards; First Aid; Wearing a Gas Mask and Cover in the Field. Pages to record personal data and photos etc. Information on the Post Office, Railway Express and Air Express. 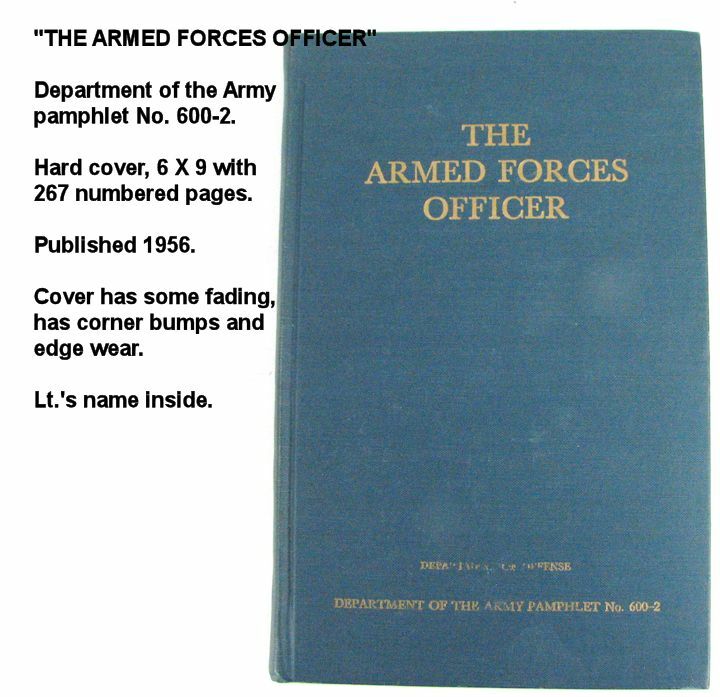 Lots of basic info a Soldier would find handy. Size is 4" X 6" with 96 numbered pages and that many more un-numbered for the personal diary section. 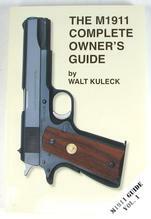 Neat little book. Excellent condition except for the round stain on the back cover. 1881 BIBLE, PRESENTATION FROM MOM TO HER SON: Inscribed on the inside and given as a Christmas present by a Mother to her 21 year old son, December 25, 1881. Closable clasp CDV album type Bible. It measures about 3-1/4" X 5-1/4" and is 1-1/4" thick. 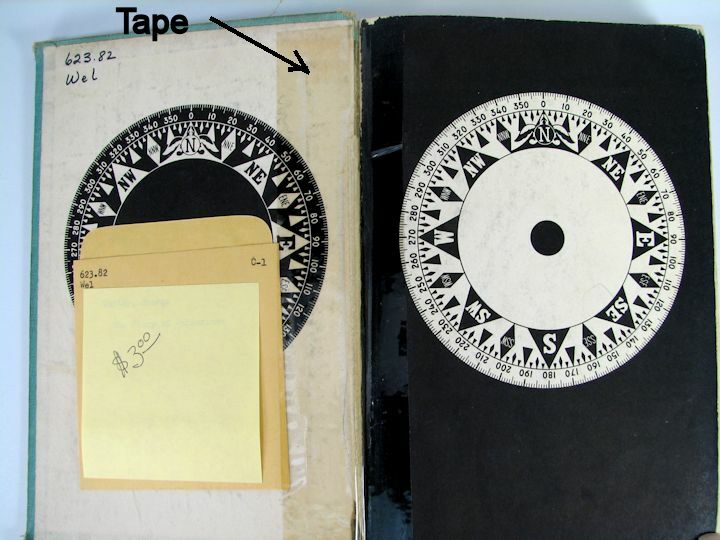 There is reinforcting tape on the spine and wear to the cover as seen in the photos. 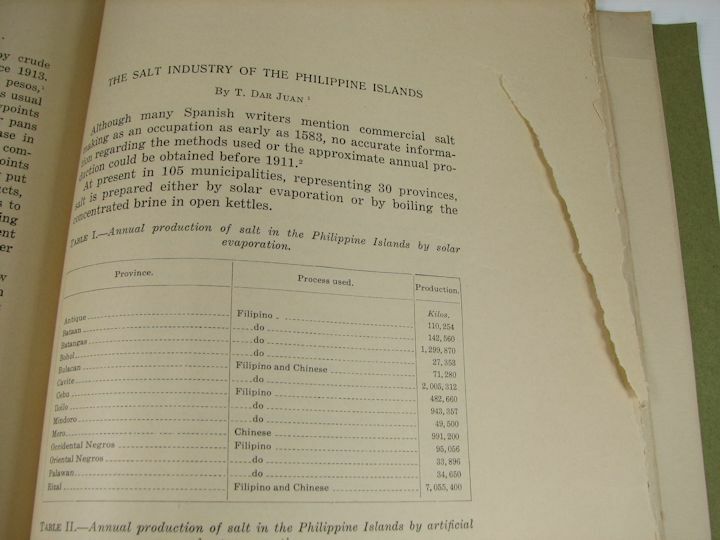 FILIPINO AWARENESS BOOKLET: Published in 1946 by the US Government Printing Office. Information for the U.S. Occupation soldiers about the Filipinos and their culture. It has some rust stains on the inside from the staples; pages are wrinkled; corners are bent and bumped. Measures about 4" X 5-1/4" and has 34 numbered pages. 45th INFANTRY DIVISION HISTORY, WW2-KOREA. THUNDERBIRD REVIEW: Pretty nice book showing some age and wear with some browning and foxing of pages. 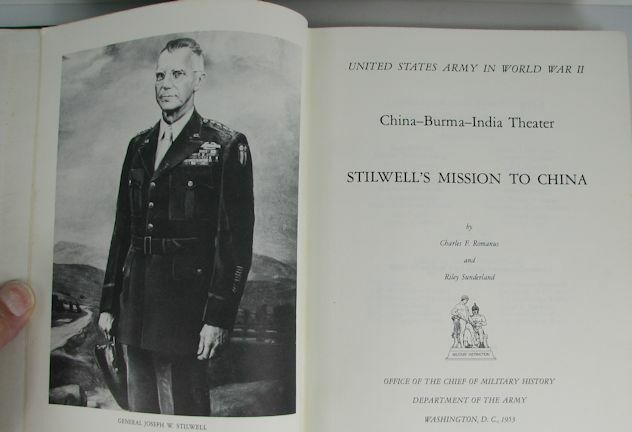 Published in 1951 and covers WW2 and the beginning of Korean War. 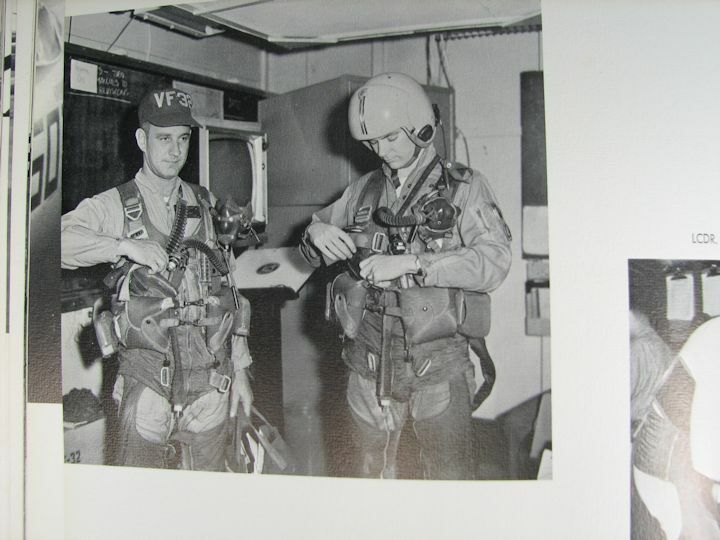 Lots of great photos showing uniforms and equipment. Complete 45th roster in the back. WW2, "OVERSEAS WOMAN". 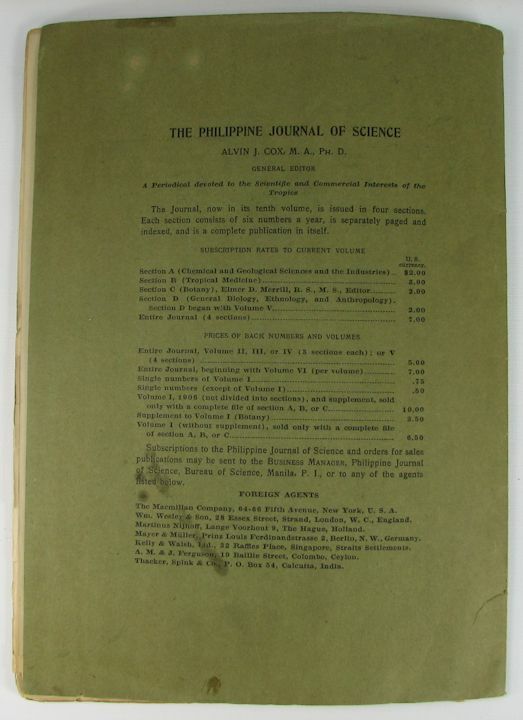 OCTOBER 1945 and JANUARY 1946 ISSUES: The January 1946 is pretty good and the October 1945 has the cover separated from the magazine body. Both complete and a good read. 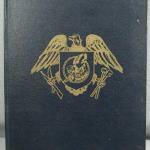 WW2 POCKET GUIDE OF RIO DE JANEIRO, U.S.A. WAR EMERGENCY COMMITTEE: Brought home by a WW2 USN Amphibious Vet. Lots of info about Rio and Brazil. English to Portuguese translations. Condition inside is good, outside has some soilling and dog ears. 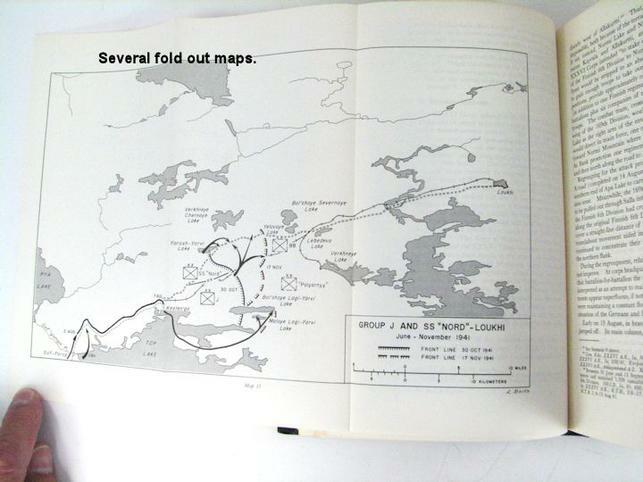 About 3-1/8" X 4-1/2" with 40 numbered pages and two fold out street maps. The U.S..Servicemen's Center in Rio was funded by Americans living in Brazil. Informative book. 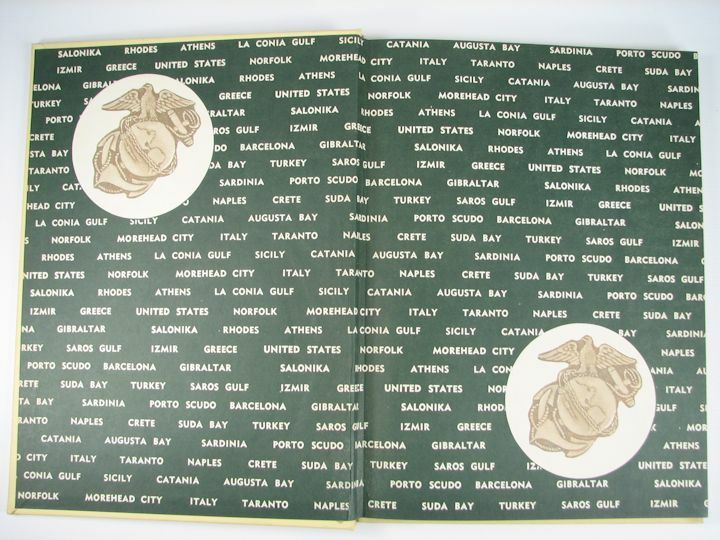 WW2 POCKET GUIDE TO NORTH AFRICA, U.S. GOVERNMENT PRINTING OFFICE, 1942: Nice book measuring about 4-1/4" X 5-1/4" with 43 numbered pages. 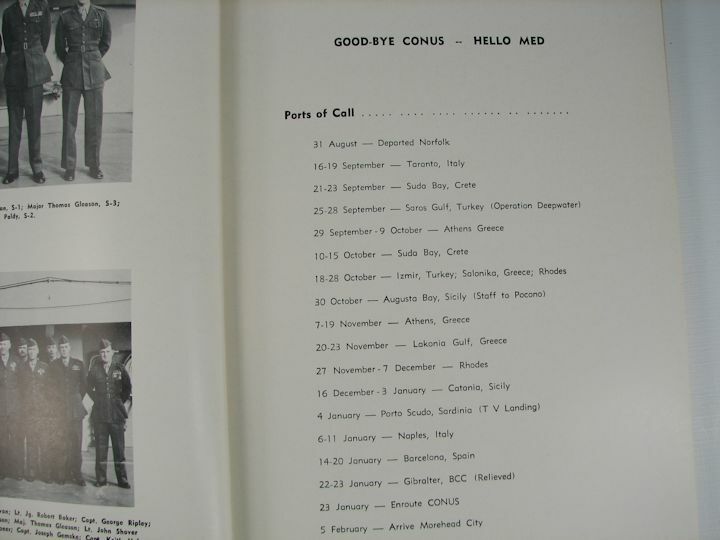 Things our soldiers would like to know when in North Africa. Arabic Phrases, Arabic Religion, their women, Do's and Don'ts and much more good info. WW2, A SHORT GUIDE TO GREAT BRITAIN, 1943: Published 1943 by the U.S. Government Printing Office. 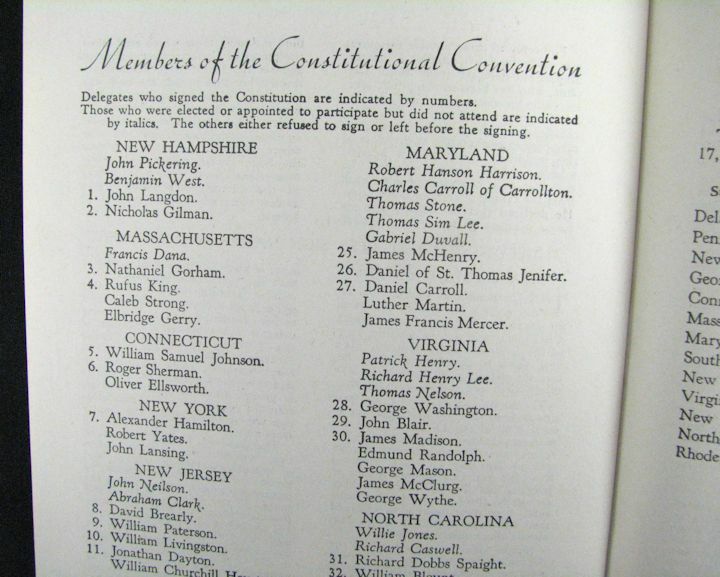 Measures about 4-1/4" X 5-1/4" with 37 numbered pages. 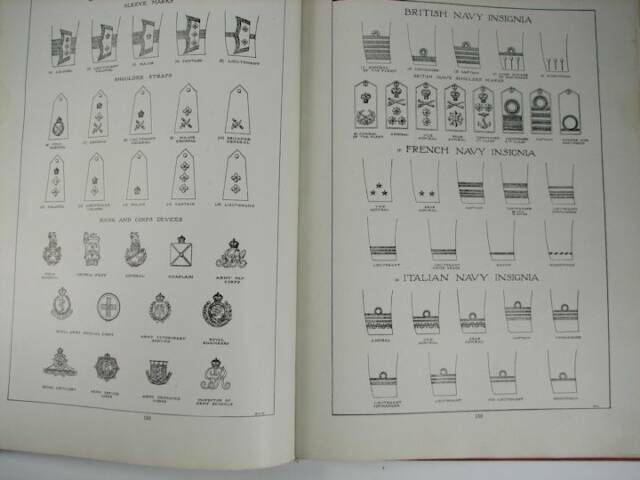 Last page is unnumbered and is the chart of British Officer's Insignia. Good condition book. 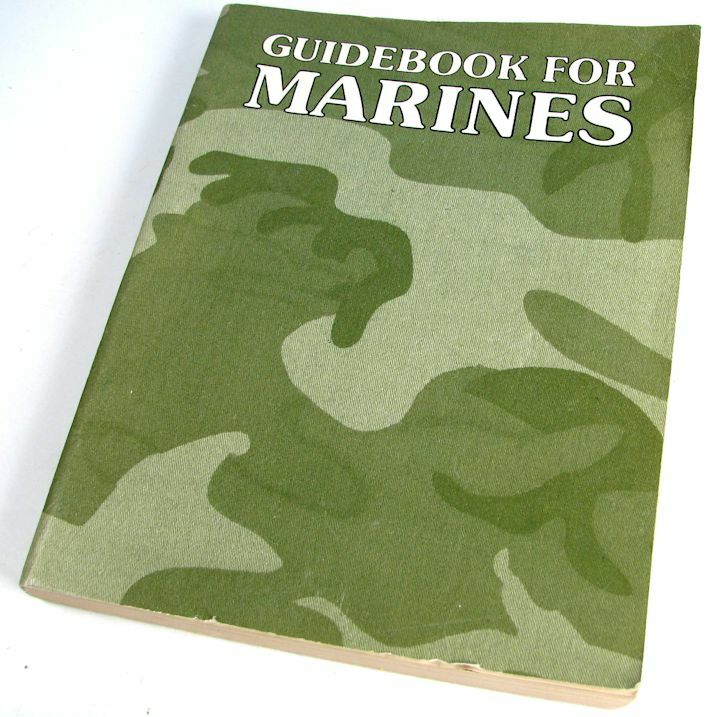 "GUIDEBOOK FOR MARINES", 1988 FIFTHTEENTH EDITION: Pretty good condition with most of the wear on the edges of the front cover. 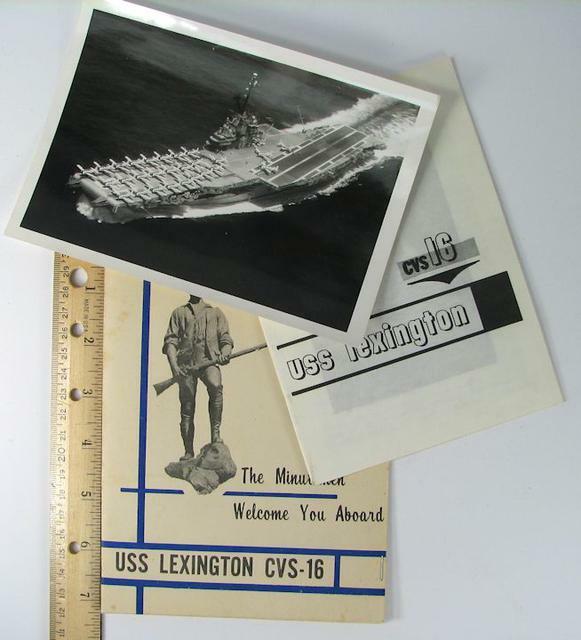 6-1/2" X 8-1/4" with 556 numbered pages. 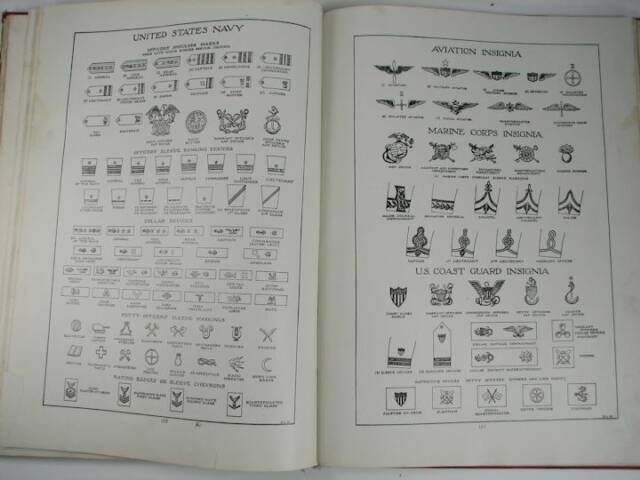 "HANDBOOK FOR THE HOSPITAL CORPS, UNITED STATES NAVY, 1939", ID'd TO A W.A.V.E. : Name of AUDREY JAMES on inside cover. 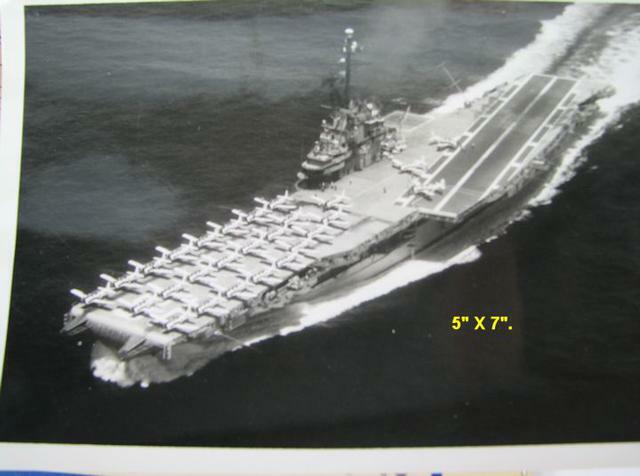 W.A.V.E.S., Tried to research her and found two US Navy Waves, an Audrey Wilson and an Audrey Widener. Do not know for sure who she was. The book has text underlined by her. 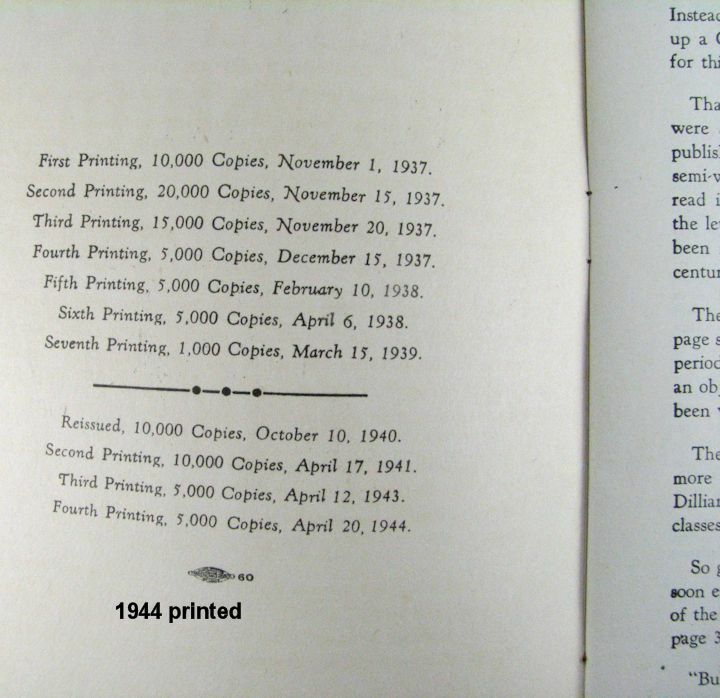 It is 6" X 9" with 1014 numbered pages. Some page browning from age. No damage noted. Click on these small images to enlarge them. 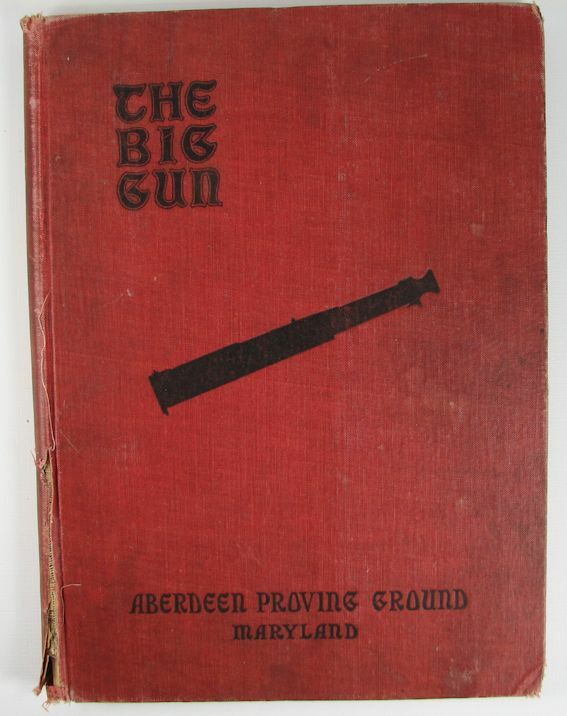 This neat book has Copyright of 1919 and covers the Aberdeen Proving Ground, Maryland in 1918-1919. 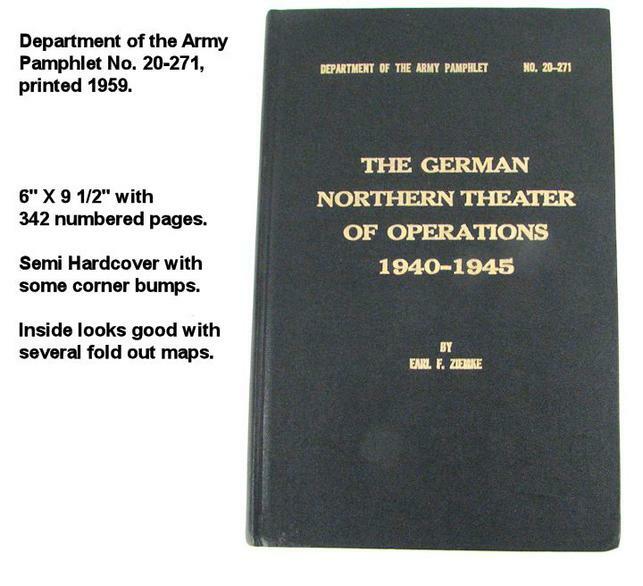 It is about 12" X 9" and has 214 numbered pages. 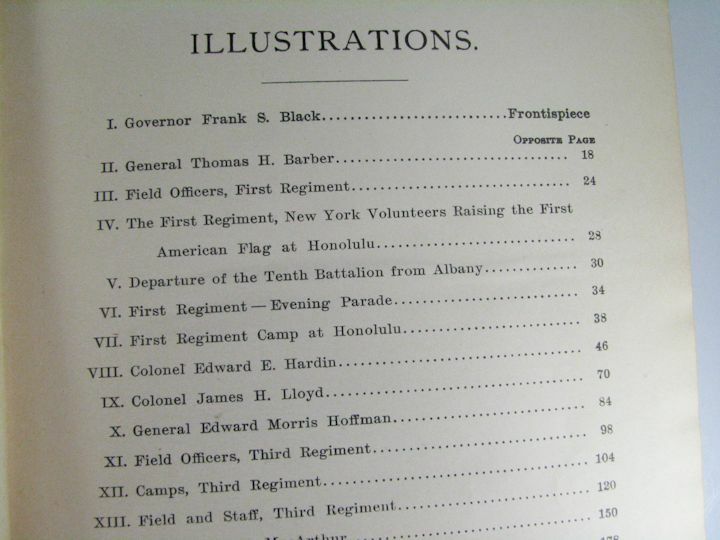 The first 154 pages are of the Departments and the men who manned them. Lots of photos. 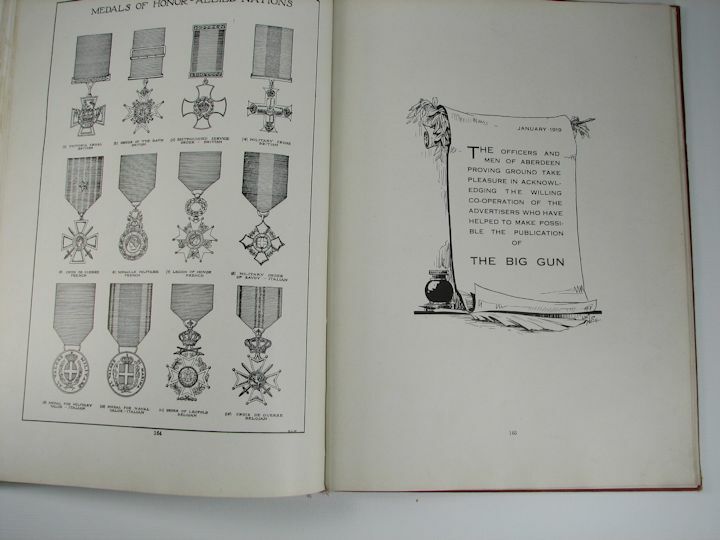 The next pages, from 155-164 are drawings of the various rankings, medals etc. Including some foreign armies. 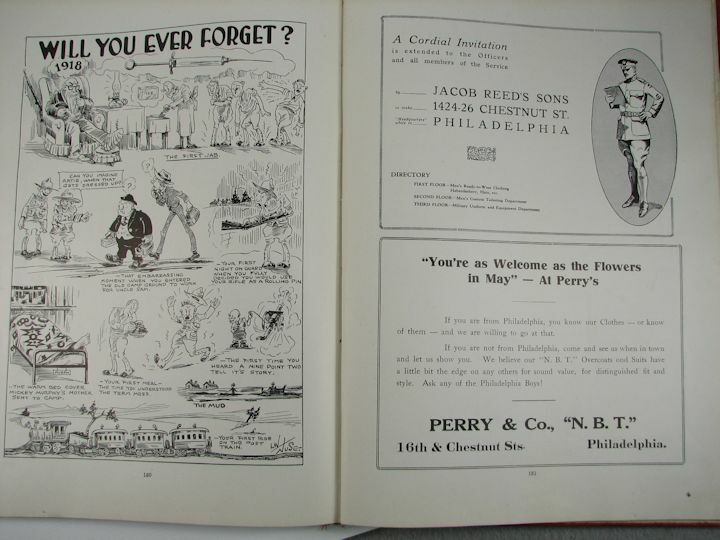 The last pages from 167-214 are advertisements from various companies. I picture a couple of the more well known ones. 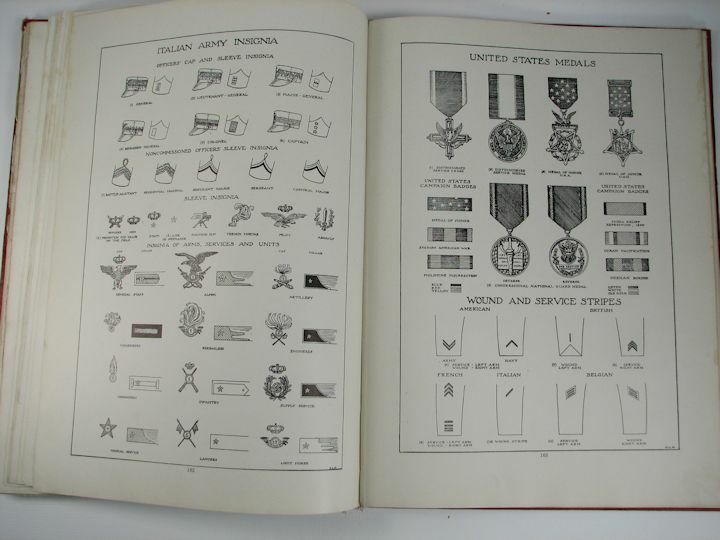 I believe this is a pretty rare book and seems to be a good reference guide for uniforms, medals etc. 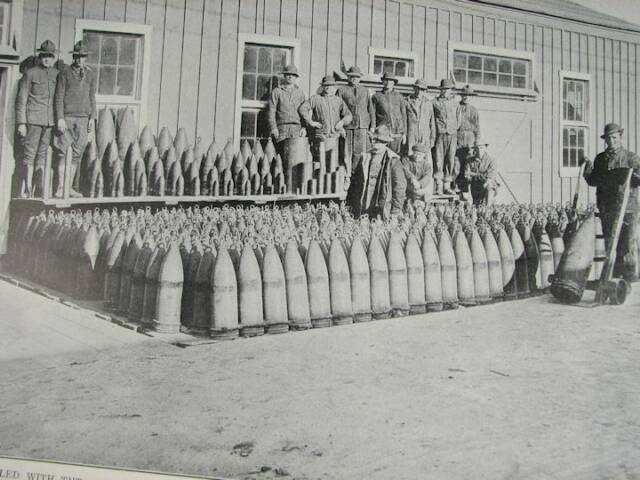 of the WW1 period. It has some condition problems but it is all there. 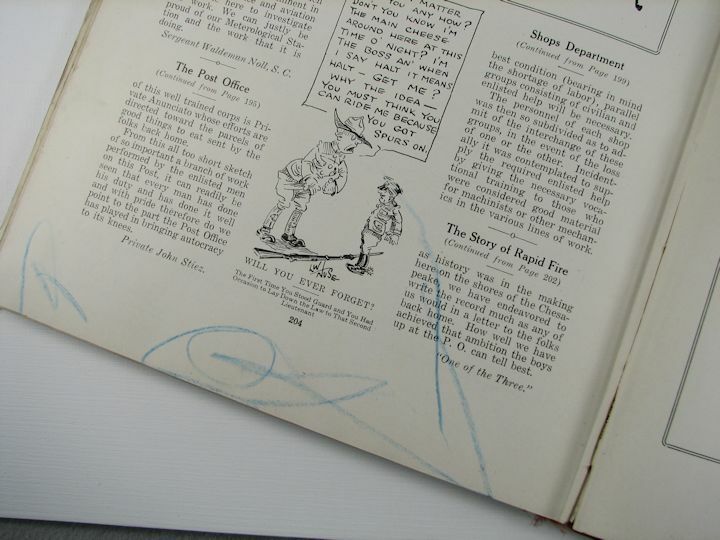 Like a large tear in a page (may be some smaller tears I did not see); some crayon coloring on two pages I saw; spine covering is torn; a couple of loose pages inside and just generally wear and tear from being around 98 years. 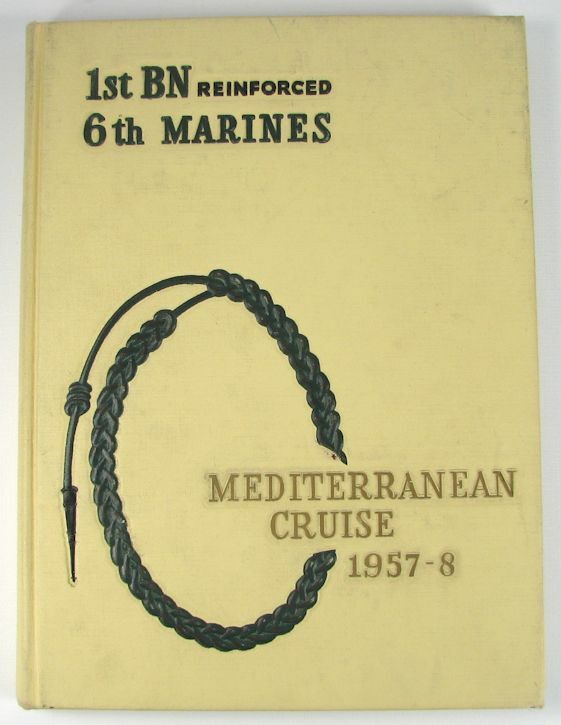 MED CRUISE BOOK, 6th MARINES, 1st BN. 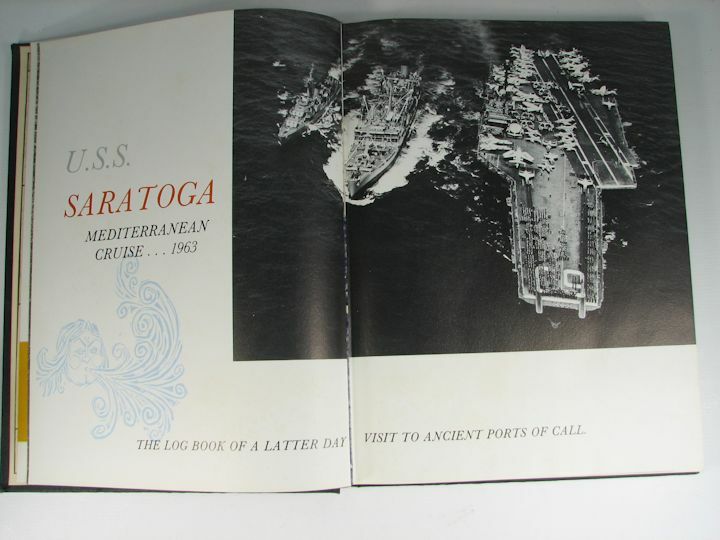 1957-58: Pretty nice cruise book from 1957-1958. 1st Battalion, reinforced. 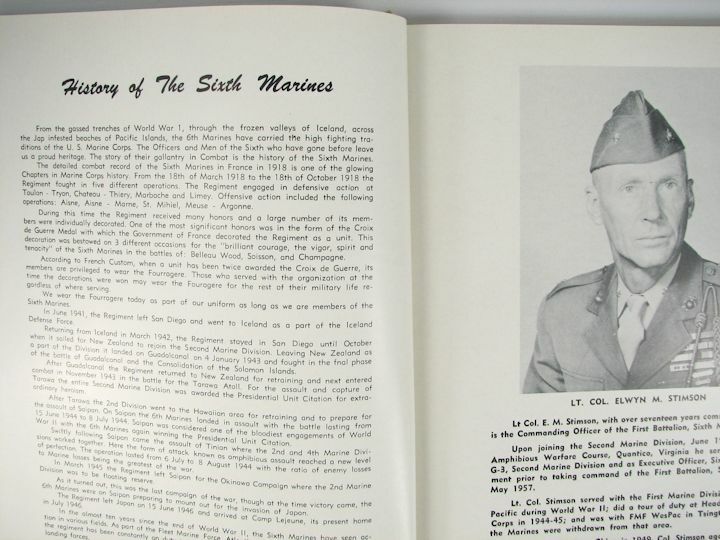 6th Marines. Measures about 10-3/4" X 8" X 3/4" thick. No major problems noted. 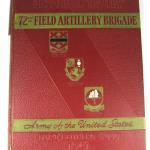 6th ARMORED DIVISION, 61st AFA BN., JUNE 1955: This is a pretty nice book. 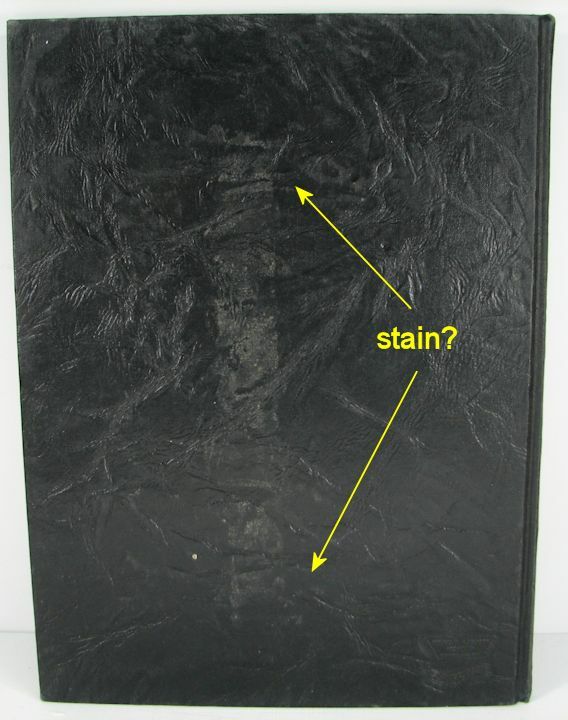 Only thing I saw was two stains inside front cover as seen in the photos. Measures about 11-1/4" X 8-3/4" X 1/2" thick. 5th ARMY, CO. C., 4th BN., 3D REGIMENT, 26 JULY 1962: Some of this Class probably went on to serve in Vietnam. 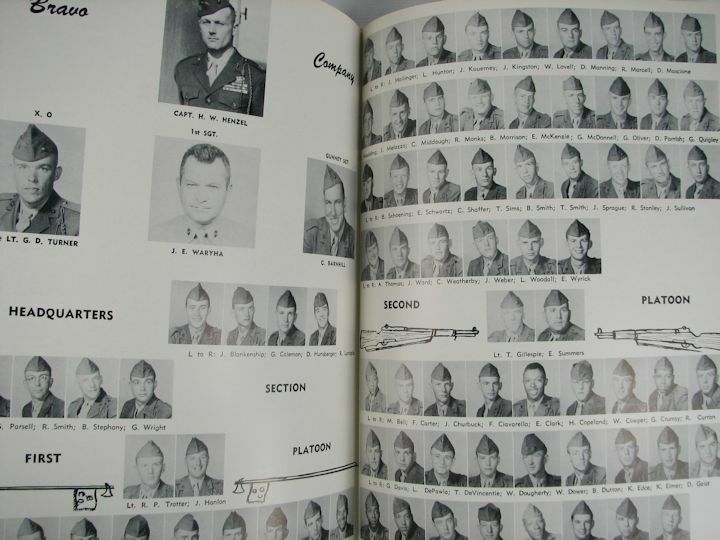 There is a Class photo, 8" X 10" that was inside of this book. 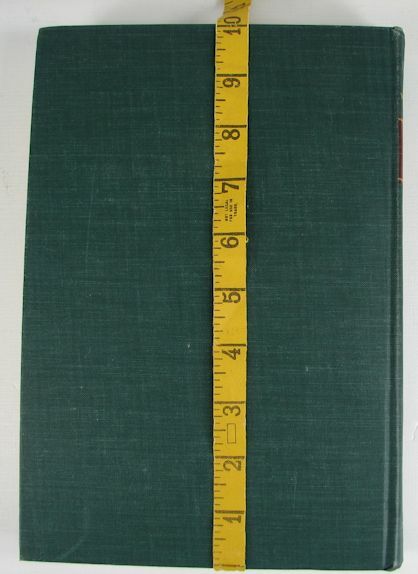 Book measures about 12-1/4" X 9-1/4" X 1/2" thick. 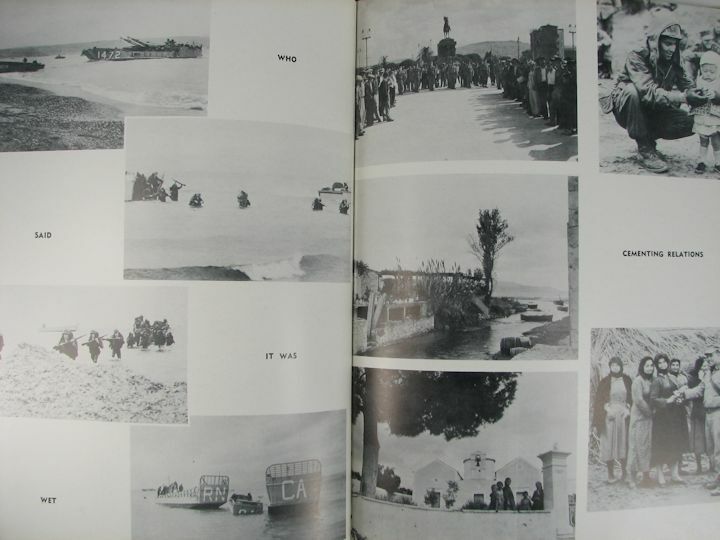 This book has several nice color images in it. The inside pages are good but, the outside cover has bumps and chips as seen in the photos. 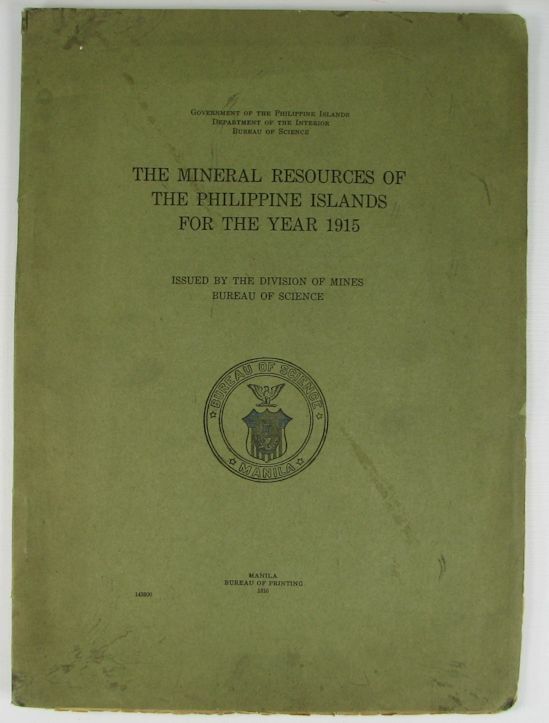 BOOK; THE MINERAL RESOURCES OF THE PHILIPPINE ISLANDS FOR THE YEAR 1915. 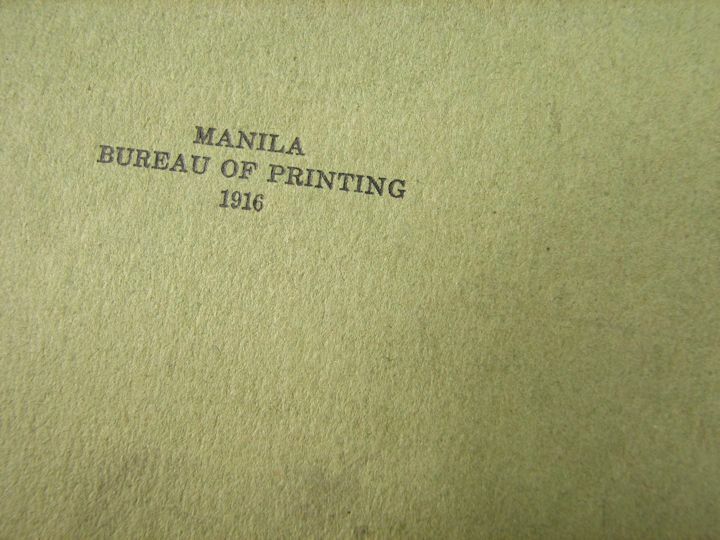 PRINTED IN MANILA 1916: This may be a pretty rare book as I could find no others for sale with soft cover from this date. 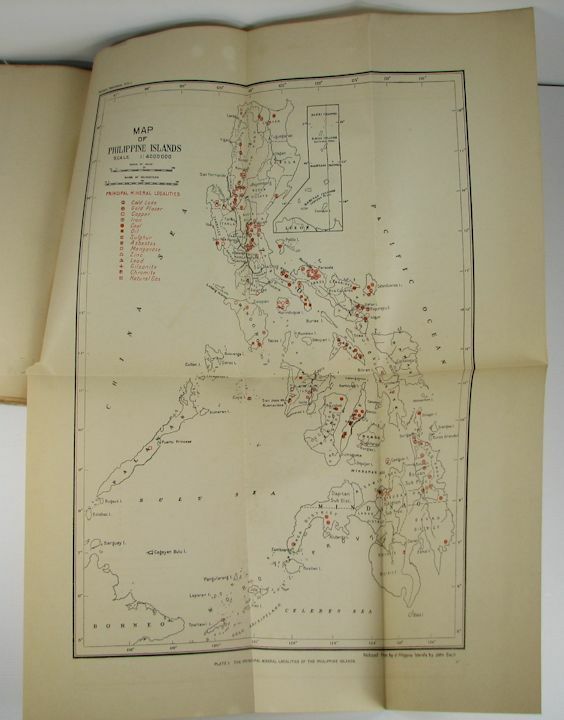 This publication is 10-1/2" X 7-1/2" and has 39 numbered pages with a fold out map of the Philippines that measures 11" X 15-1/2" in size. 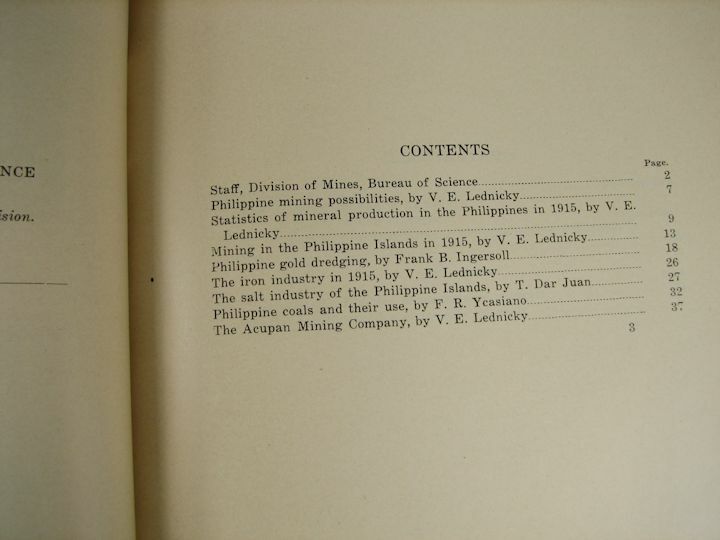 On the map are marked the locations of various mineral sources. Condition is not good as it is soiled, has rough edges, some tears and just general wear from being around for over 100 years! 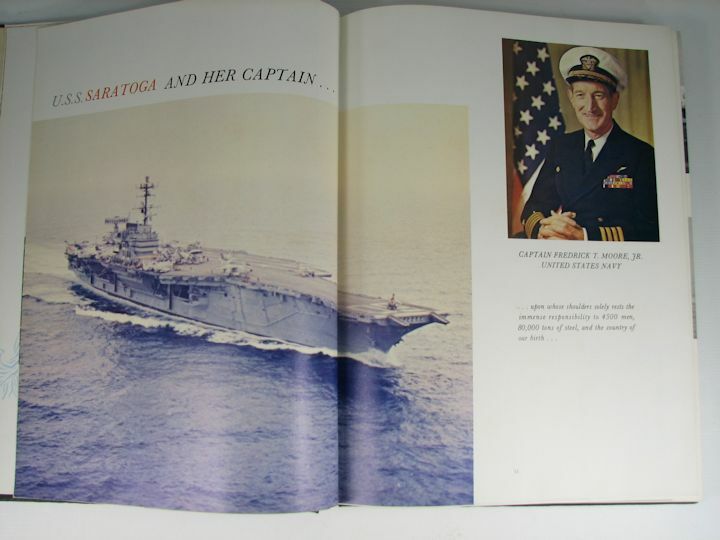 1963 CRUISE BOOK, USS SARATOGA, CVA-60. 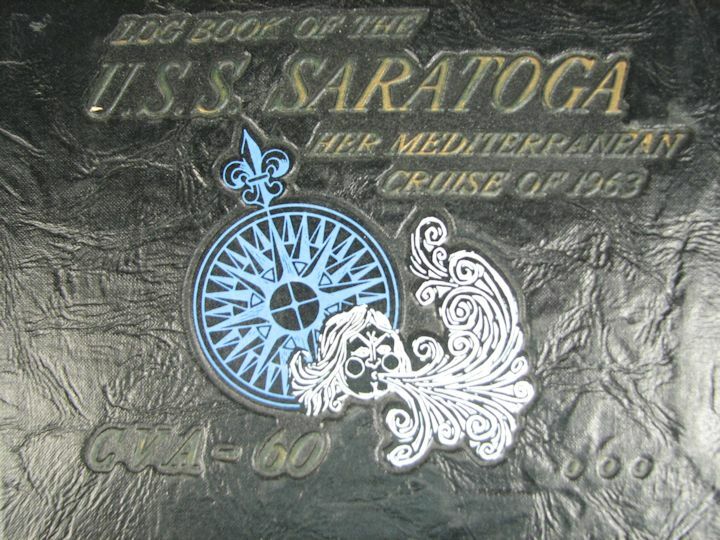 MED CRUISE: USS Saratoga, CVA-60, Cruise Book from 1963 Mediterranean Cruise. Measures about 12" X 9 " X 1". Outside blue cover scuffed with corners and spine having bumps and wear. Back of cover has a stripe down the center? I see no damage to the interior pages other than one page that has a corner creased. 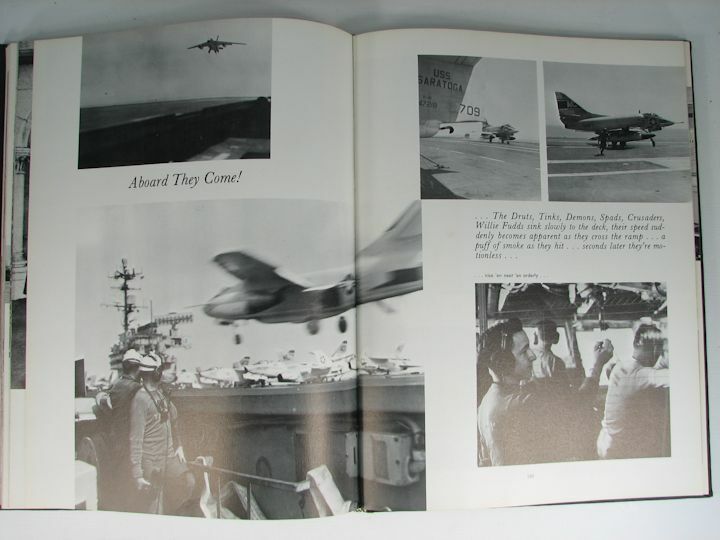 Lots of images of vintage Navy aircraft: F3H Demon; F8U Crusader; A3D Sky Warrior; A4D Sky Hawk and others. 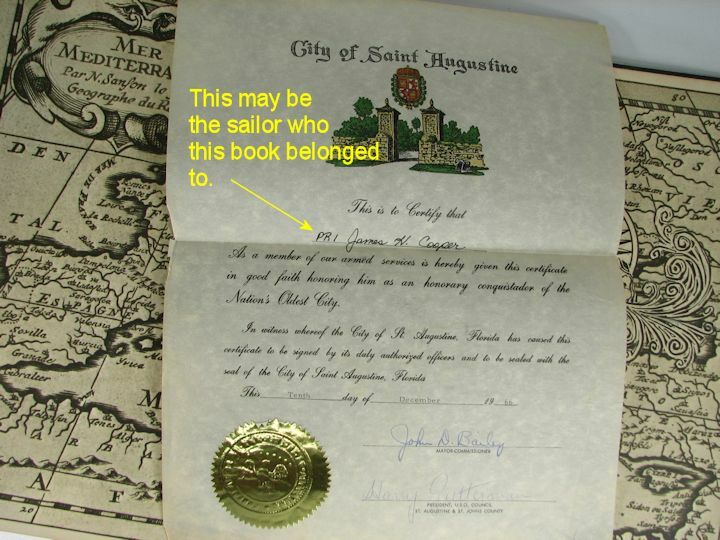 In the back was a certificate awarded to a James H. Cooper, PR1. He may have been the owner of the book. 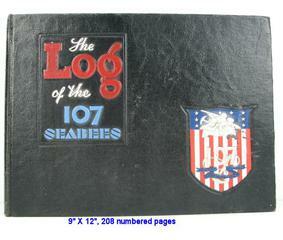 107 SEABEES, LOG 1943-1945: About 9 X 12 with 208 numbered pages. Covers are scuffed with edge and corner wear, tear and bumps. Binding loose inside. Click small images to enlarge -->. 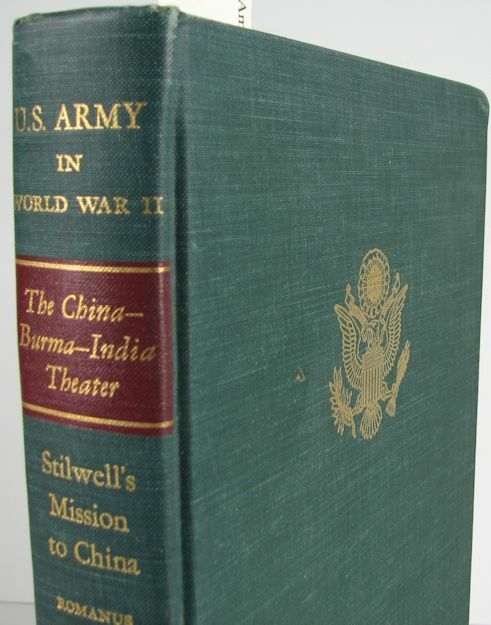 THE CHINA-BURMA-INDIA THEATER, STILLWELL'S MISSION TO CHINA: U.S. Army in WWII. 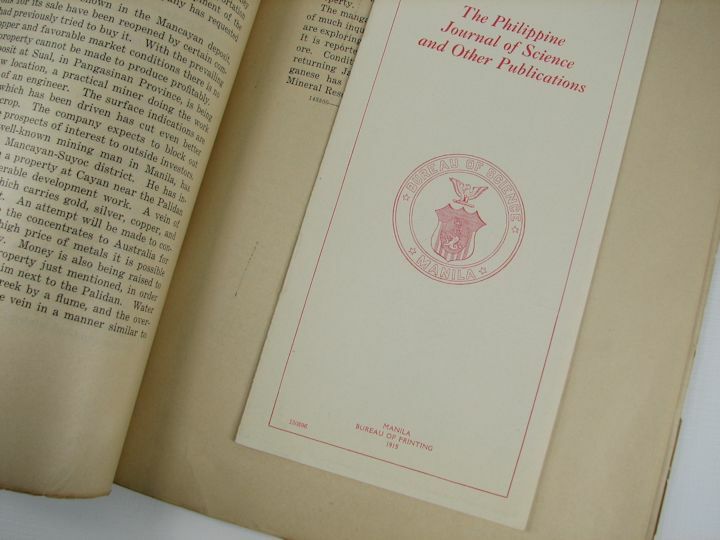 Originally published in 1953, this copy printed in 1968. 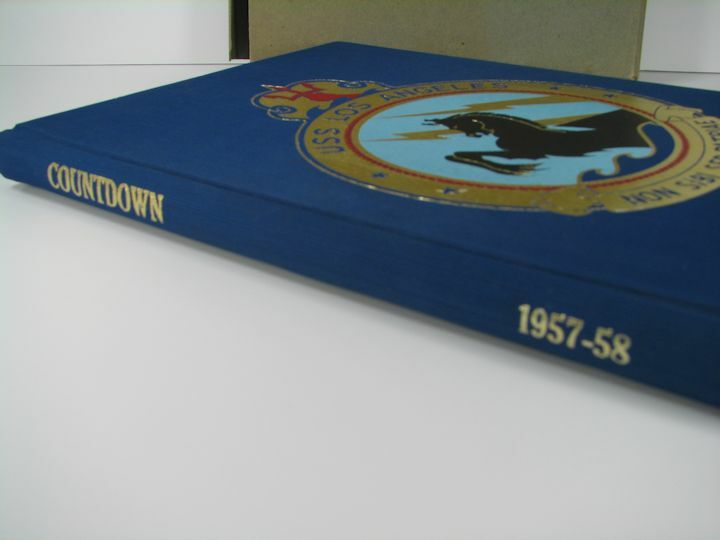 Hard cover measures about 7" X 10" and has 441 numbered pages. 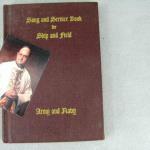 Excellent condition with only some fingerprint smudges on the edges of the pages. Minor bumps and wear. 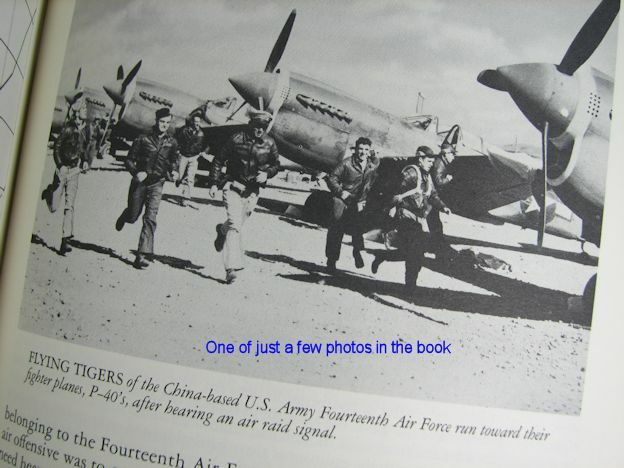 Only a few photos but a couple are of Flying Tigers. 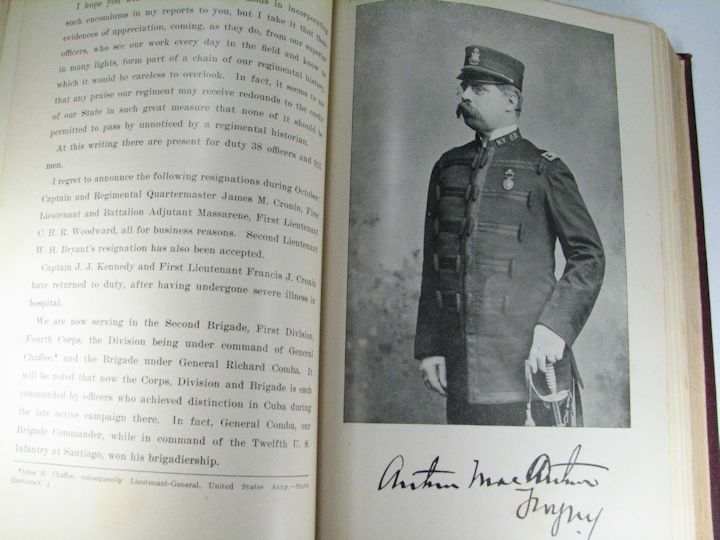 MEXICAN BORDER WARS-WW1 "MANUAL FOR ARMY COOKS" Dated 1916 and ID'd: Neat little book full of interesting information. 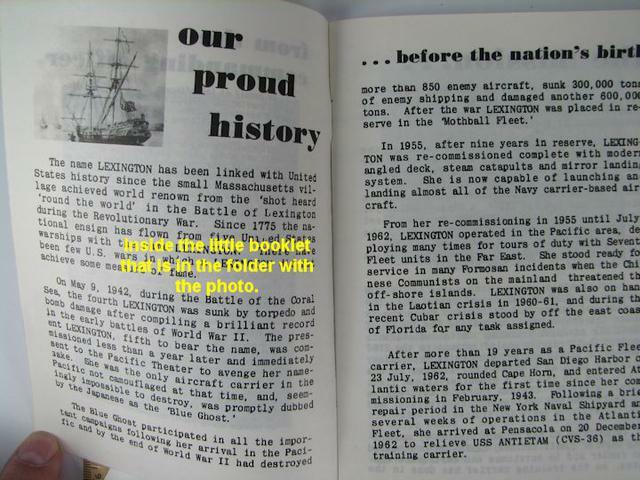 It is 4-1/2" X 5-3/4" and has 270 numbered pages with several fold out pages. 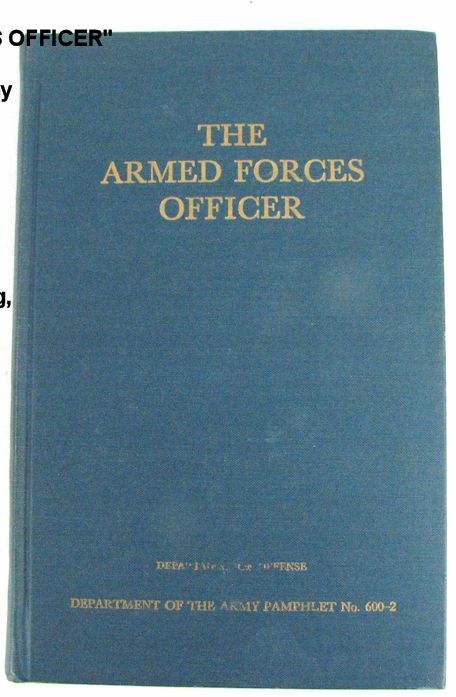 It has an inscription inside the front cover from a Nephew that is dated 1976 where he notes this book was his uncles who served both in the Mexican Border War and WW1. 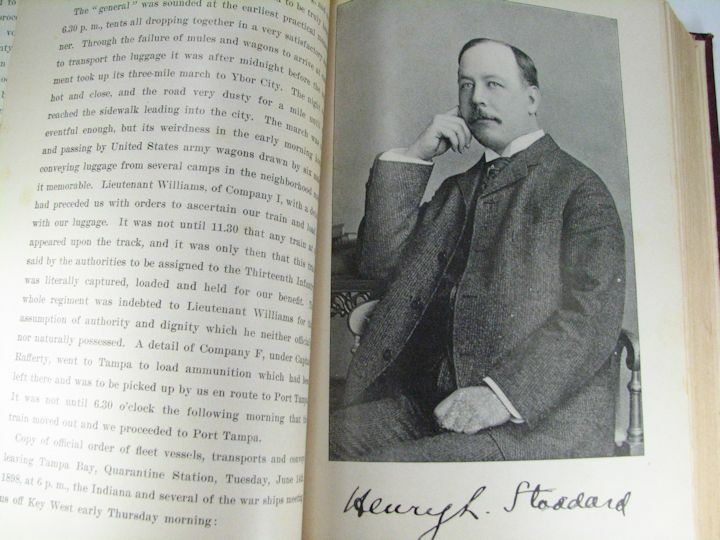 Inside the back cover is written by the owner of the book, Ernest B. Bowser, his name and address in Mattoon, Illinois. 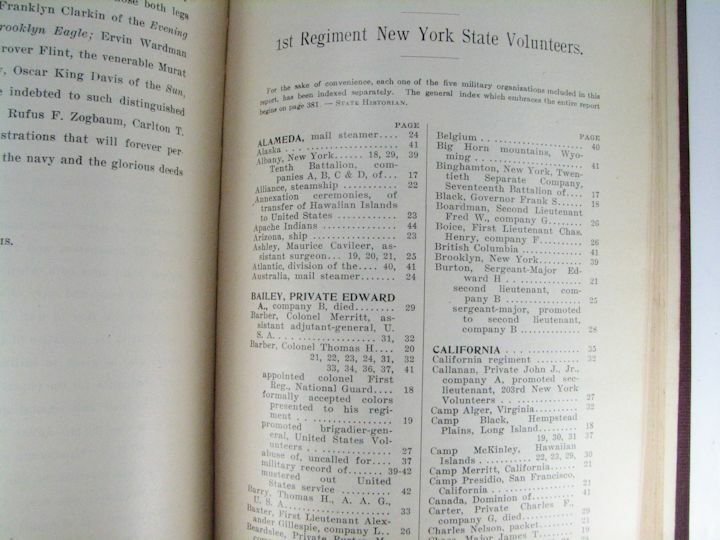 I found Ernest's grave marked in an Illinois Cemetery and it says he served with the 37th Infantry, Company A, which was an Ohio National Guard unit. These books are located in the "Weapons" Category.